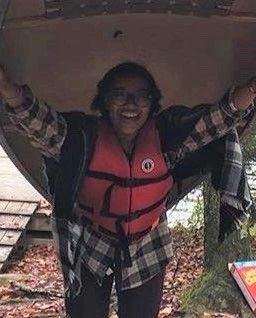 Wenonah Summer Camp staff are outdoor education professionals, teachers, university and college graduates/students or senior high school students that share one thing in common: they are committed to providing each Wenonah camper with a positive and lasting Camp experience. Rihana joins us for her 2nd year as a staff member at Wenonah and 4th year total at Wenonah. 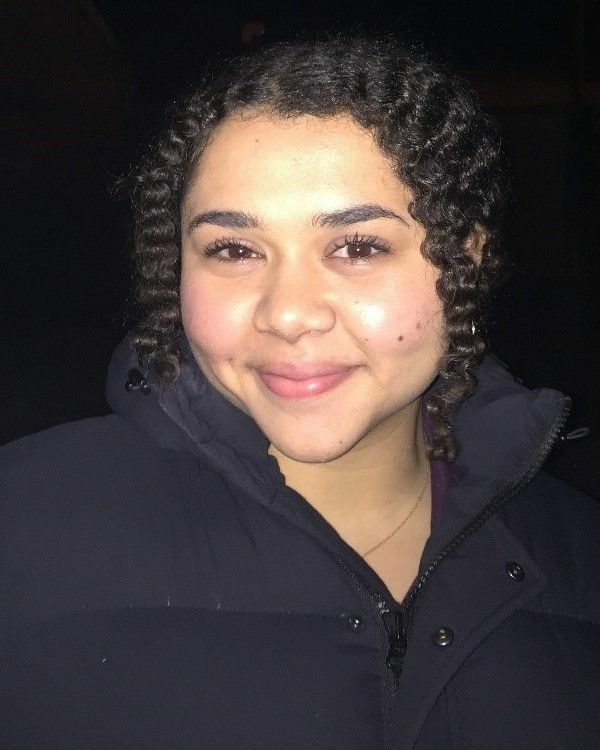 Rihana is certified with her NLS, Standard First Aid and CPR C. She is currently enrolled at Lawrence Park Collegiate Institute (Graduating 2019). Rihana works as a dance teacher at Groove School of Dance during the school year and volunteers in therapeutic recreation programs at Holland Bloorview Kids Rehabilitation Hospital. Rihana has volunteered as a “buddy” at her high school for the past 2 years (mentoring program for grade 9 students). Her hobbies include Dance, playing the piano and the ukulele and travelling. Thomas has been involved with Camp Wenonah since before its doors opened, including as a member of its original Advisory Group. 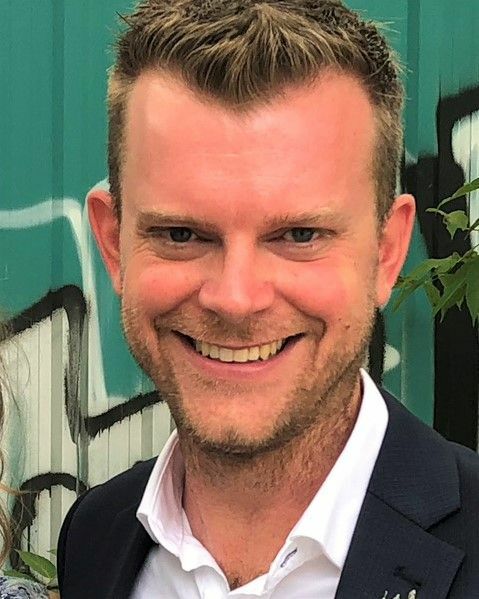 Thomas has a Master of Social Work from the University of Toronto and a Master of Business Administration from the Schulich School of Business. Thomas Appleyard is an organizational coach and consultant with expertise in conflict, emergency management and leadership. He has worked for numerous camps and outdoor centres, health care and emergency management organizations in the private, non-profit and public sectors. Mika is joining us for her 1st year on Staff at Wenonah and 7th year total at Camp. She is certified with her Bronze Cross, Swim Instructor, Lifesaving Instructor, Emergency First aid instructor, Boaters License, CANSail 2 and ORCKA Level 3. 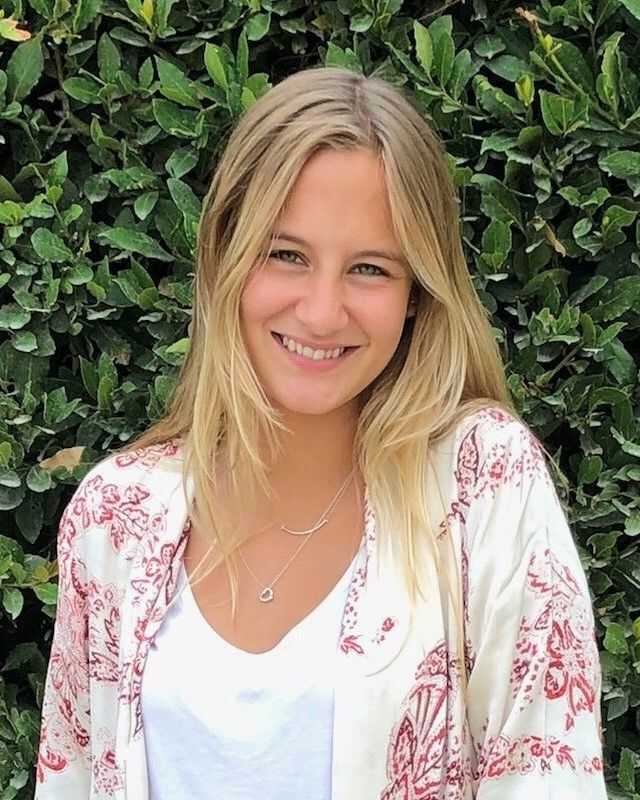 Mika will be a 2019 Graduate of Neuchâtel Junior College where she was studying abroad in Switzerland for 10 months and living with a Swiss host family. Her University is undecided, but hopes to go to Queen’s for Engineering. At her previous school, Mika was involved in the artistic community, specifically in the Drama and theatre programs. She produced a student-run play festival in grade eleven and even produced a play for the National Theatre School Play Competition. 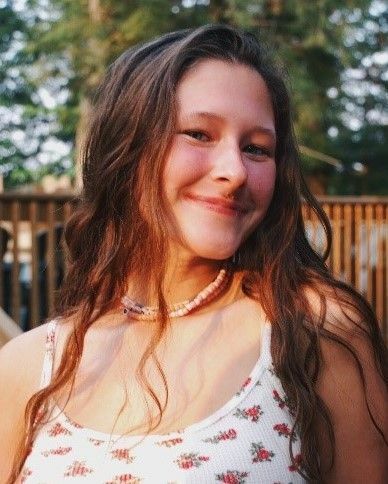 Mika also volunteered on a service trip to Kenya, going for a two-week educational, community building trip that was a life-changing experience for her! Mika has earned her Five-year paddle, and the Spirit of Wenonah. Her favourite pastime is skiing and her favourite food is clementines! Rianne holds over 20 years of experience at Camp Wenonah. 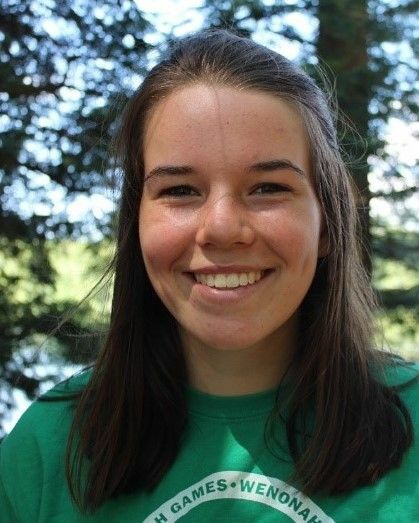 Rianne has been a long-time camper and veteran staff member at Camp and currently oversees all aspects of The Camp Wenonah Centre for Outdoor Education. 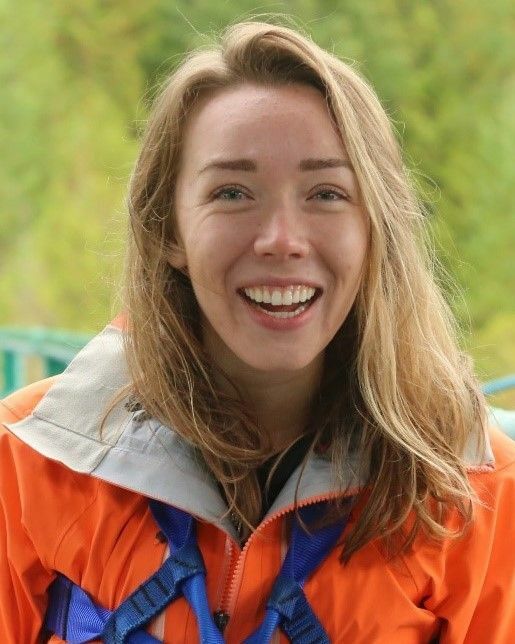 Rianne has previously worked as an Associate Director with Camp Summit in Squamish, British Columbia. 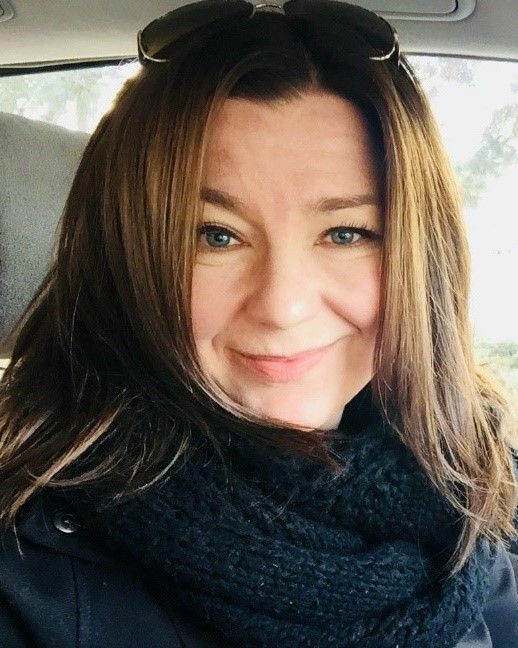 While out west, Rianne sat as Secretary of the Board for the British Columbia Camps Association and remains an active leader within the camping industry. 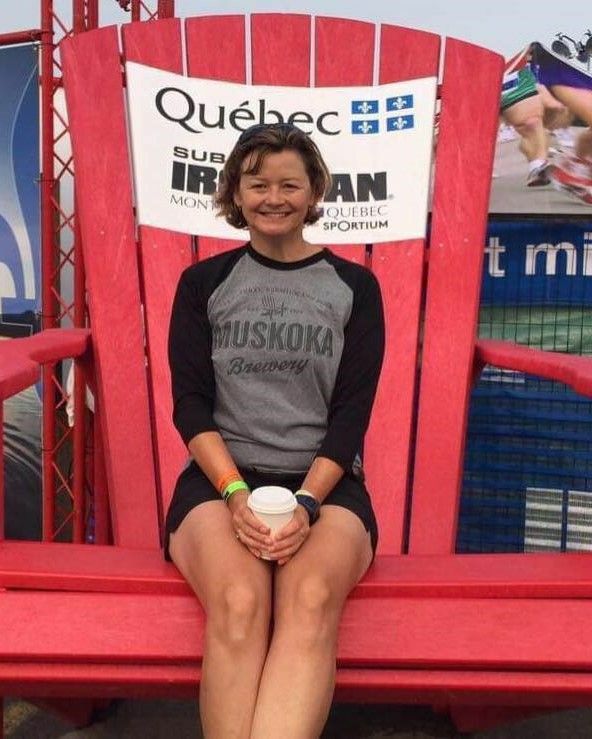 She currently sits on the Ontario Camps Association Outdoor Education Committee and has completed the International Camp Directors Training course facilitated by the International Camping Fellowship. 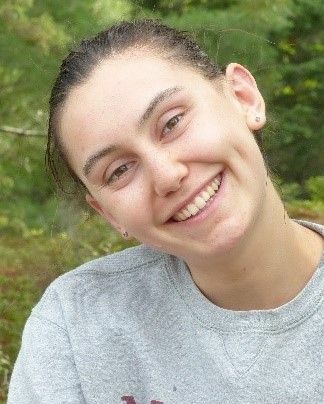 Rianne achieved her degree in Global Studies, with a minor in Gender Studies from Wilfrid Laurier University and is a past recipient of the Schaefer Scholarship, which acknowledges outstanding contributions to life and learning at Camp Wenonah. 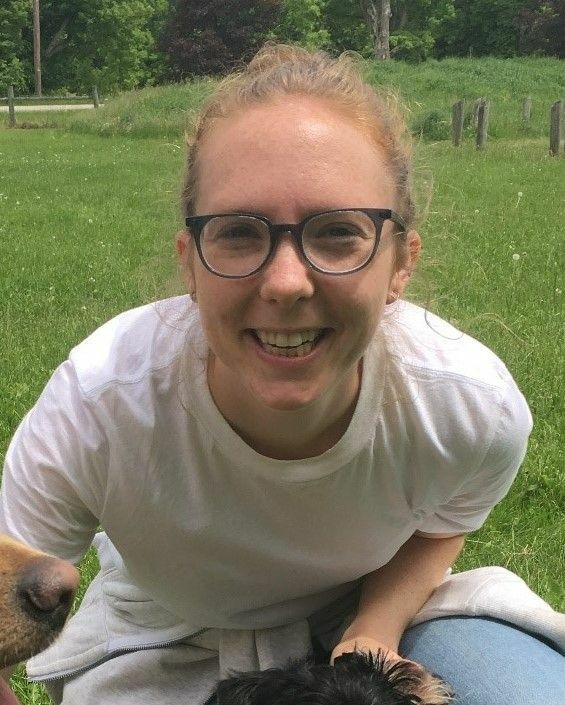 During her downtime, Rianne enjoys painting, paddling and hiking with her dog Arlo. 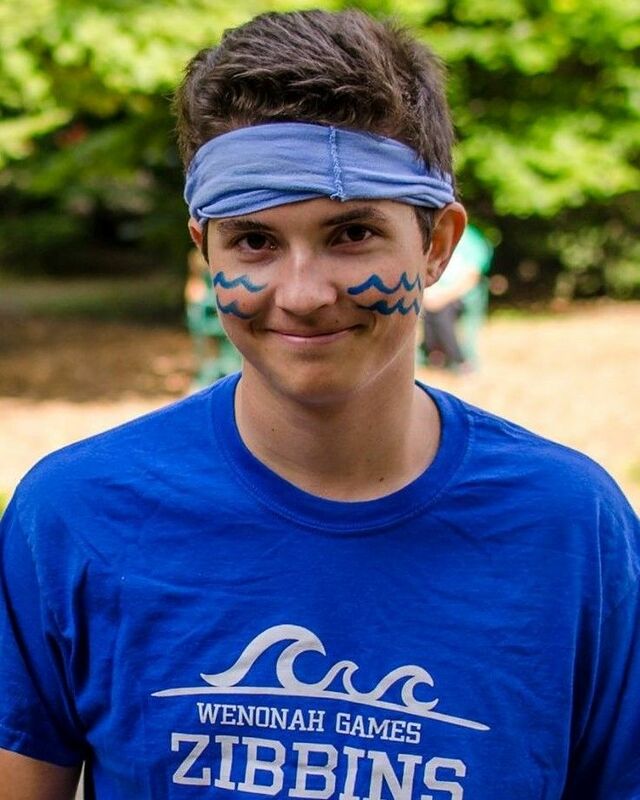 Lochie is joining us for his 1st year as a Staff member at Camp Wenonah. He is currently a student studying Criminology and Criminal Justice. He has spent 5 years in the Army Cadets in Australia. During this time, he completed a National Adventure Training Award through the Australian Army and has experience leading 30+ kids on overnight hikes. Lachlan is truly at home in the outdoors, his favorite activities include fishing, hiking and camping. Chelsea joins us for her 2nd year on staff at Camp and 12th summer at Wenonah. She is certified with her Bronze cross and Standard First Aid with CPR-C. Chelsea has also completed her CANsail 2 and ORCKA level 2. She is currently enrolled at Dr. Frank J. Hayden Secondary School and will be going into grade 12 this upcoming school year. Chelsea is involved in the Student council and DECA (business club) at her school. Chelsea volunteers at Tansley village retirement home and school sporting events. Her hobbies and interests include swimming, art and travelling. Jeff holds over 35 years staff experience (30+ years Director/Coordinator). 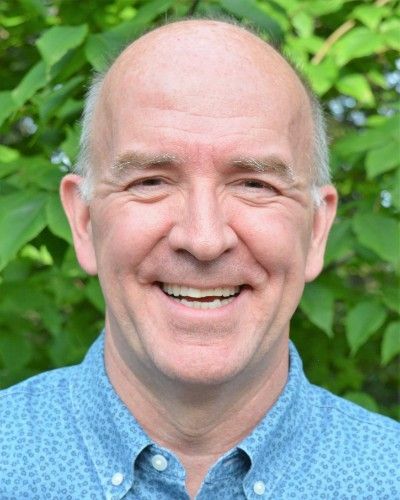 Currently, Jeff is the President of the Ontario Camps Association (OCA) and has served two terms as President of Canadian Camping Association (2008 – 2011). Jeff also serves on the Board of Directors of International Camping Fellowship. Jeff worked on the Organizing Committee of the 8th International Camping Congress (Quebec City, 2008) and has coordinated annual OCA Skills Weekends in the past. He has also served on many OCA Committees and Task Forces and is a member of the Society of Camp Directors. Jeff is a recipient of the Ron Johnstone Lifetime Achievement Award from the CCA (2012) and was recently named an Honorary Life member of the OCA. Madison returns to Wenonah for her 6th year as a staff member, and her 17th year total. Her qualifications include Bronze Cross, Standard First Aid with CPR-C, and ORCKA Instructors. Madison is attending the University of British Columbia working towards a Bachelor of Media Studies. She is living in Vancouver and currently studying abroad in Sweden! 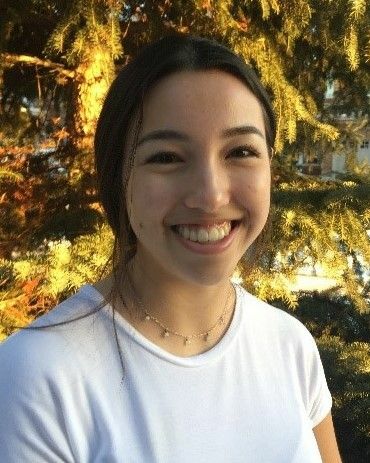 Madison’s work experience includes Director of Marketing and Media at UBC Camps, Marketing Team at UBC Rec, Photographer at UBC Athletics, First Year Arts Orientation Leader. She has been awarded the Tripping Award in 2015, 10 Year Camper award, and the 5 Year Staff award. In the summer of 2018 Madison camped and hiked through parts of the Grand Canyon and Joshua Tree. Her interests include canoeing, kayaking, hiking, playing guitar and eating Chef Brad’s brownies. Renata has over 30 years camp experience. 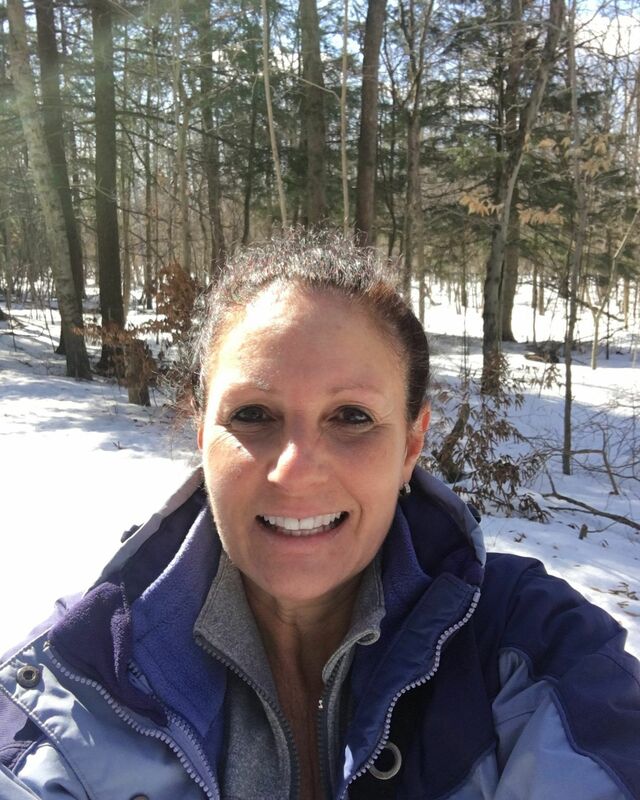 Renata has served on the Board of Directors for the Outdoor Council of Canada and has 12 years teaching experience at Halton District School Board. She graduated with a Bachelor of Arts and Bachelor of Education from Queen’s University (Kingston, ON) and served as Adjunct Professor with the Faculty of Education at York University (Toronto, ON). Renata is a former course instructor at Mohawk College and is a member of the Society of Camp Directors. Caron joins us for her 20th year as a Camp staff member. Caron coordinates all activity at the Burlington Office. She has previously worked with CUMIS Insurance and Sheridan College and is the former Manager of the Camping and Outdoor Bookstore. Caron is the previous Director of Administration for the Wenonah Day Camp. She is a proud mother and grandmother. Simone is joining us for her 2nd year as a staff member at Wenonah and 9th year total at Camp. Her certifications include Bronze Cross and CPR-C. She is currently enrolled at Leaside High School in the French immersion program. 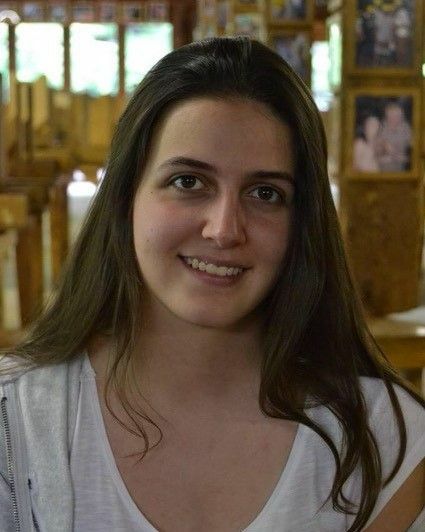 Simone is a tutor for grade 3 students in French and Math and has volunteered for the Me to We Foundation. 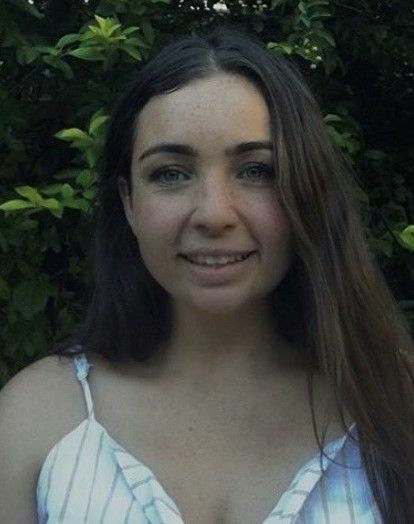 She is also an assistant ballet teacher for children aged 3-9 and is currently involved in the Visual Arts Club, Women’s Interest Club and on the Lacrosse team. Awards include Leaside High School Honours Bilingualism Certificate and the North Leaside Ballet Volunteer Appreciation Award. Simone’s hobbies include Dance, Piano and Photography. Jono returns for his 3rd year on staff at Wenonah and `0th summer at Camp. Jono holds his CANSail 2, NLS, Standard First Aid with CPR-C, boaters license and ORCKA 3. 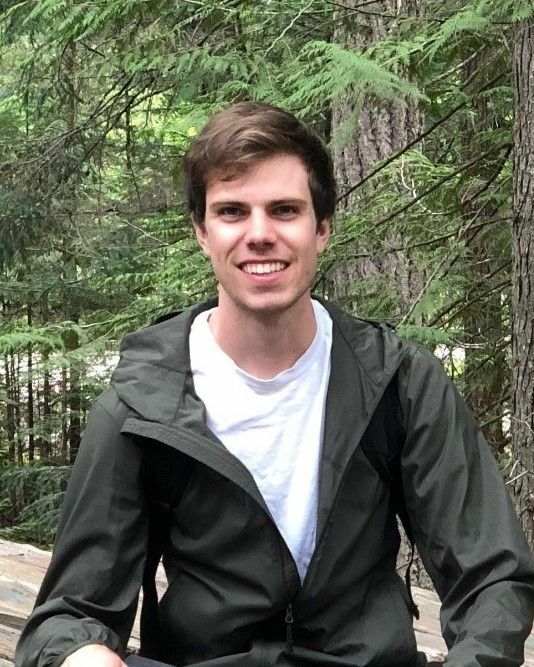 Currently enrolled at Ryerson University in Business Management majoring in Real Estate Management Jono spent four months studying in Europe and two months in Australia and New Zealand. Jono is a certified scuba diver and a photography enthusiast. Rebecca has been a Camp nurse for 5 years and will be returning for her 4th year at Wenonah. She has worked at SickKids as a nurse for the last 20 years and just completed the primary care nurse practitioner course last June. Now Rebecca is working at SickKids as the Asthma Nurse Practitioner. 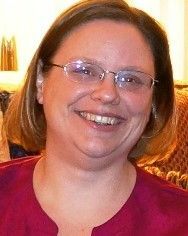 Rebecca has three sons and loves to go running, enjoys baking, sewing and she has just recently started to learn to play the ukulele. Rey returns for his 3rd year as camp nurse at Wenonah. Rey has previous camp experience as a nurse at Camp Kwasind, and Camp Huronda (A Diabetes Camp). He has 24 years of experience in Pediatric Nursing. Rey’s interests include camping, fishing, biking, working out and being with his kids. Rachael returns for her 2nd year as a staff member at Wenonah and 7th year total at Camp. Currently Rachael is studying at the University of Guelph completing a Bachelor of Applied Sciences in Child, Youth, and Family studies. In the future, she hopes to pursue a career in teaching. Brian is joining us for his 1st year at Wenonah and looks forward to meeting everyone in the Wenonah community. Brian was a youth camp leader at Camp White Pine in 2015 and was a staff for Totus Tuus Toronto run throughout the GTA in 2017. As a nursing student Brian is certified with CPR/AED level HCP. Currently he is enrolled in third year of Nursing at Ryerson University. Brian has volunteered with the youth programs at his local Church, often facilitating games and discussions during youth events. As part of his studies Brian is placed at an all-boys high school where he helps educate students about healthier lifestyles. He worked last summer at a bubble tea shop where he learnt all the interesting ways of making bubble tea. Brian often finds it hard to do anything but study and sleep but during his free time he will usually exercise, play video games, read books or watch YouTube. Recently Brian has picked up an interest in cooking and is trying to learn Mandarin. Kyra joins us for her 2nd year as a Staff at Camp and 7th year total at Wenonah. Her certifications include ORCKA level 2, Bronze Medallion, and Standard First Aid with CPR-C. Currently, Kyra is enrolled at Dr. G.W. Williams Secondary School (soon to be graduate). 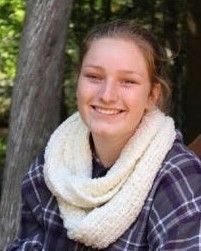 Kyra participates on the Girls varsity Field Hockey team and the girls senior Volleyball team and has been an Honour Roll student. her hobbies include baking, cooking and photography. 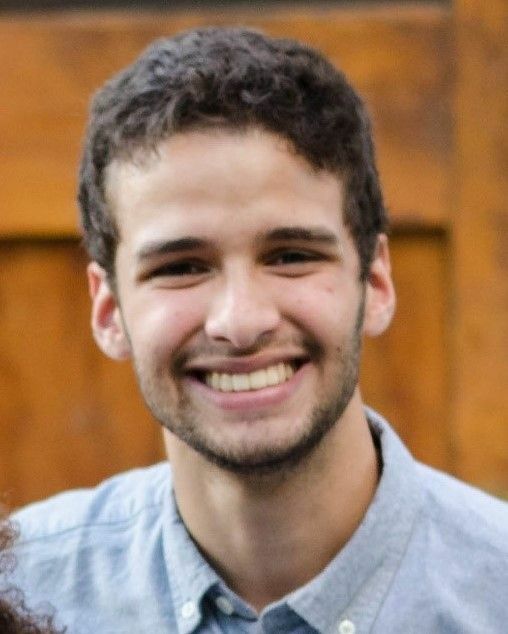 Andres will be returning for his 2nd year as a Staff member at Camp and 10th year total at Wenonah. 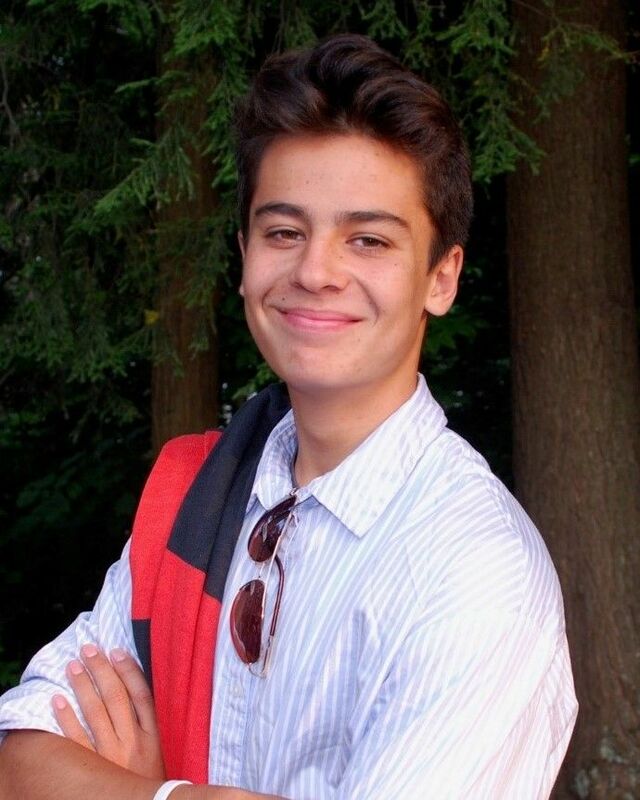 Andres is Currently enrolled at The Churchill College in the CCH and IB program. He volunteers to give free English lessons to children with few resources. As an avid debater Andres went to a debate competition held at Harvard University in March. 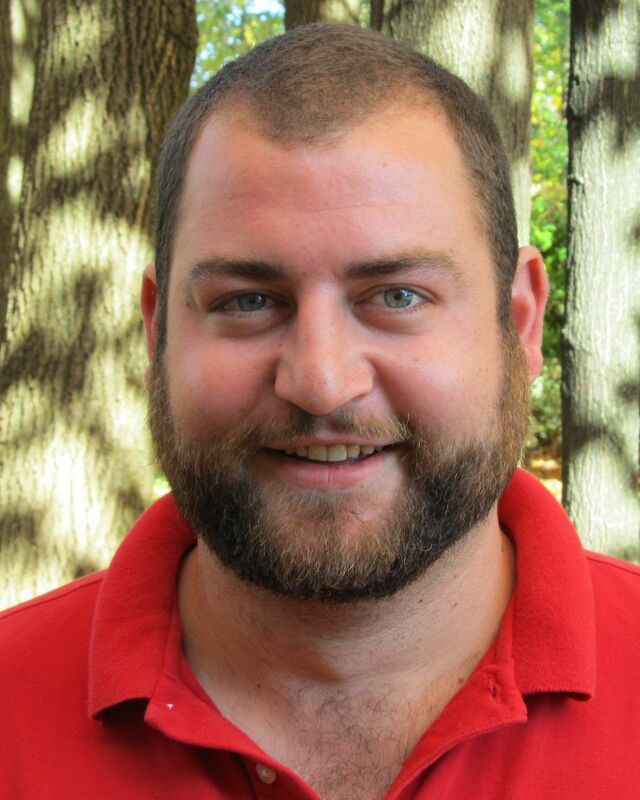 Brian is returning for his 5th year as a staff member at Camp Wenonah. Recently, Brian volunteered with the Irish Paralympic Association where he helped them facilitate the European Paralympic Swimming Championship in Dublin. He also volunteers with Cycle Against Suicide, an organisation that helps to break the stigma surrounding mental health by running and organizing Cycling events. Brian was one of the recipients of the Schaefer Scholarship in 2017. Brian’s enjoys walking with his dog, Bella; Mountain Biking, attending music events and being goofy. Brooke returns for her 2nd year as a staff member at Wenonah and her 9th summer at Camp. She is certified with her NL, swim instructors, lifesaving instructor, Standard First Aid and Airway Management Certification. Brooke also holds a boater’s license, CanSail 2 and ORCKA 3. Currently Brooke attends the University of Ottawa, majoring in Commerce with a specialty in International Management. Brooke enjoys music and playing sports such as hockey and basketball. Recently, she got her scuba diving license and has fallen in love with diving, and seeing everything in the Ocean. Graydon is joining us for his 2nd year as a staff member at Wenonah. Graydon’s qualifications include his NLS, Swimming Instructor’s Certification and Standard First Aid. 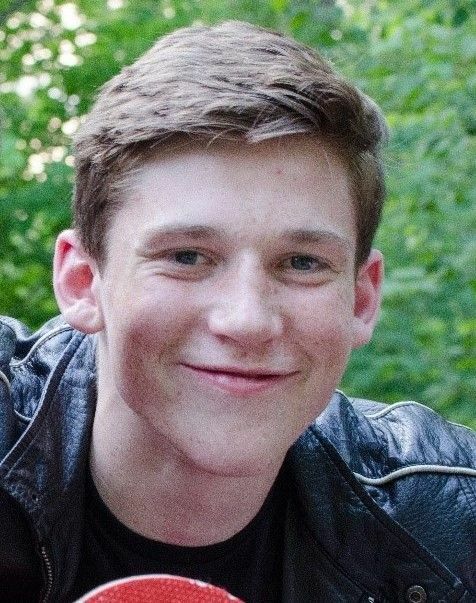 Graydon is currently enrolled at Riverdale Collegiate Institute. He is a YMCA swimming instructor and lifeguard. He has studied abroad in France for a term and is a Student Council member and Varsity Athlete. Graydon has been awarded the History Academic Award and the High Honours Academic Award. 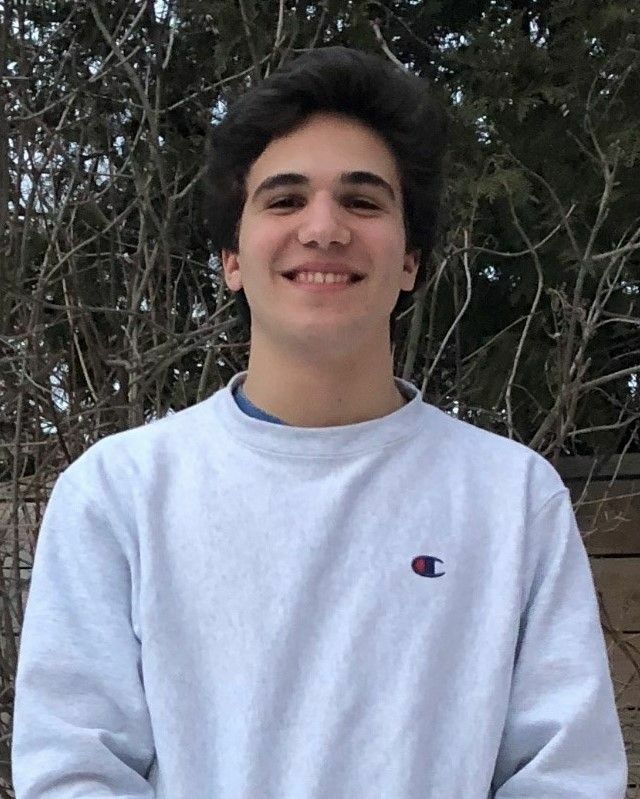 His hobbies include Travel, Exploring the outdoors, Literature and Philosophy, Sports, Spending time with friends/Meeting new people, Getting involved in school and in the community. Thomas returns for his 4th year as a Staff member at Wenonah and 10th year total at Camp. His certifications include NLS, Standard First Aid with CPR-C, CANSail 2, and ORCKA 3. 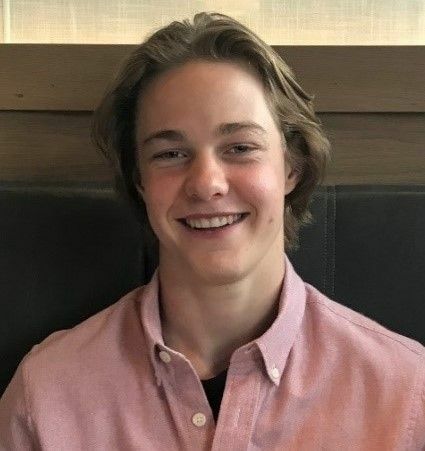 Thomas is currently enrolled at the University of Toronto studying Engineering Science with a specialization in Biomedical Systems. He was a member of the cast of Skule Nite 1T9, the University of Toronto Engineering Society’s premier annual sketch comedy show. In 2016, Thomas visited Honduras as a volunteer to aid in biological surveys in the cloud forest and coral reef. Thomas was one of the recipients of the 2017 Simon Wells First Year Staff Leadership Award, as well as Spirit of Wenonah in July 2014. His hobbies and interests include Guitar, Music and supporting the Toronto Maple Leafs. Caleb returns for his 2nd year as a Staff member at Wenonah and 9th year total at Camp. Certified with his Bronze Cross, Standard First Aid with CPR-C, and his Boating License. Caleb is currently enrolled at the University of Ontario Institute of Technology studying Data Science. Caleb has previously worked at Wendy’s where he was awarded Employee of the Month honors. He is the General Secretary of a youth Political Riding Board and volunteers for Let’s Talk Science, a group that host science experiments and classes for schools and other groups. Caleb is a past recipient of the Oakville Trafalgar Merit Award for Computer Technology. His hobbies include Sailing, Archery and Reading. 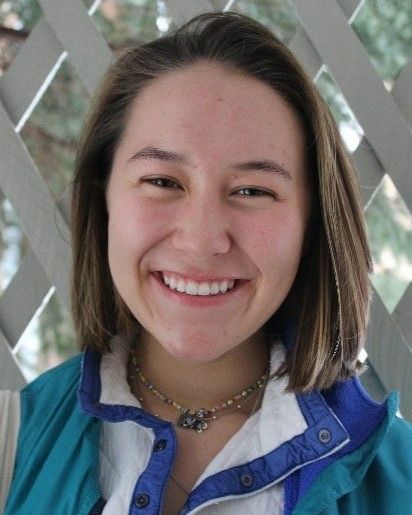 Annie is joining us for her 2nd year as a staff member at Wenonah and 9th summer total at Camp. Certified with Bronze Cross, Standard First Aid and CPR-C. Annie is currently finishing her last year at North Toronto Collegiate Institute. She is the Editor of her school’s newspaper and member of the choir. Her interests include reading, writing and music. Kate returns for her 3rd year as a staff member at Wenonah and 12th year total at Camp. Kate is certified with Standard First Aid with CPR-C, and Bronze Cross. 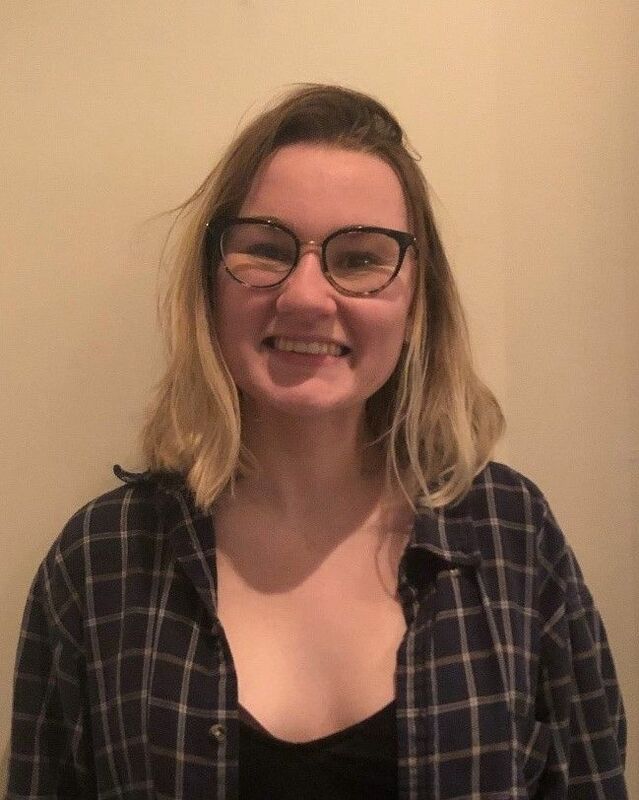 She is currently enrolled at the University of Guelph studying Commerce Marketing Management & Honours Minor International Development Studies. Kate worked as a dietary aide with compass foods, has experience babysitting, and as a t-ball and softball umpire. Her interests include painting, baking, ice skating, reading, animals, and the greatest team in sports, the Toronto Maple Leafs. Lianne is a Nurse Practitioner at Sick Kids Hospital in the cardiac ICU. Her professional history includes being a PICU bedside nurse for 10 years, during several years of which she was a travel nurse in the USA. Lianne has been a nurse practitioner for over 10 years now and has primarily worked with those with congenital heart disease. 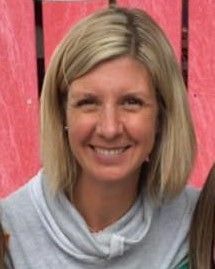 Camp is in Lianne’s heart and she was a camp counsellor for YMCA summer day camps in High School, and as a nurse practitioner she volunteered at a camp for children with diabetes and another for children with congenital heart disease. Lianne participated on a medical mission to Rwanda, Africa. For fun, Lianne enjoys hanging out with her 8-year-old nephew who likes to make her his personal goalie for anything that involves shooting a ball at his aunt! She has a black lab who loves to hike, sleep and is allergic to water but loves to swim! You can find Lianne in the water at every chance she gets! 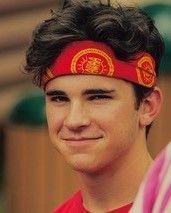 Ethan will be joining us for his 2nd year as a Staff member at Wenonah and 4th year total at Camp. Certified with his NLS and Swim Instructor’s. Ethan is currently enrolled at Stratford Central SS, and is finishing HS. Ethan works as a Ski Instructor in the Winter and has been a Lifeguard/Swim Instructor in past summers. He is a Member of the Ontario Nature Youth Council and was named in Corporate Knight’s Magazine – Top 30 Under 30 in Sustainability. Ethan’s interests include climbing, skiing and traveling. 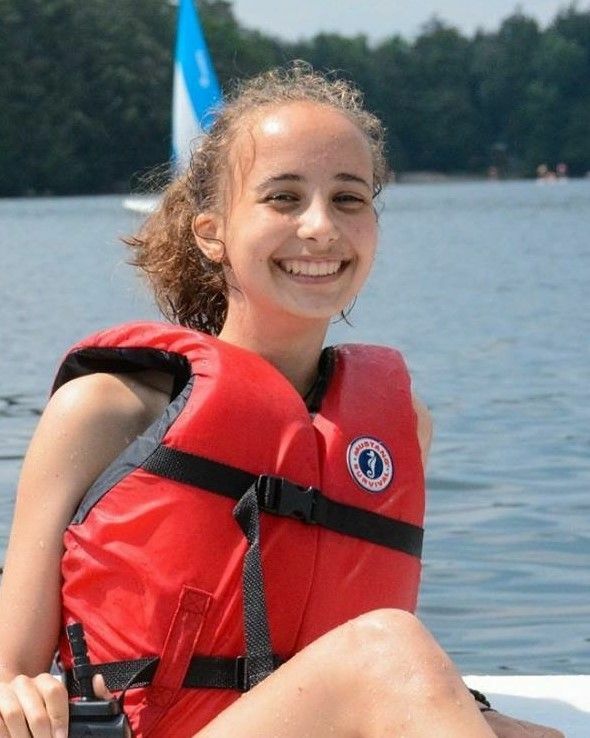 Lili joins us for her 2nd year as a Staff member at Wenonah and 8th year total at Camp. Certified with her NLS and Standard First Aid with CPR-C. Lili has also earned her CANsail 2 and ORCKA level 2. She is currently attending Northern Secondary school and will be going into grade twelve this coming year. She has been dancing competitively for 6 years, and has used these skills to be a choreographer at Northern Secondary’s United Way Dance and Fashion Show. Lili is an assistant teacher for ballet classes at Turning Pointe Dance Academy and also has experience working at Manor Montessori (a day care) in an after-school program for children. She loves traveling and has been fortunate enough to travel Europe and Asia extensively with her family. Other hobbies include guitar which she has been playing for many years, and art. 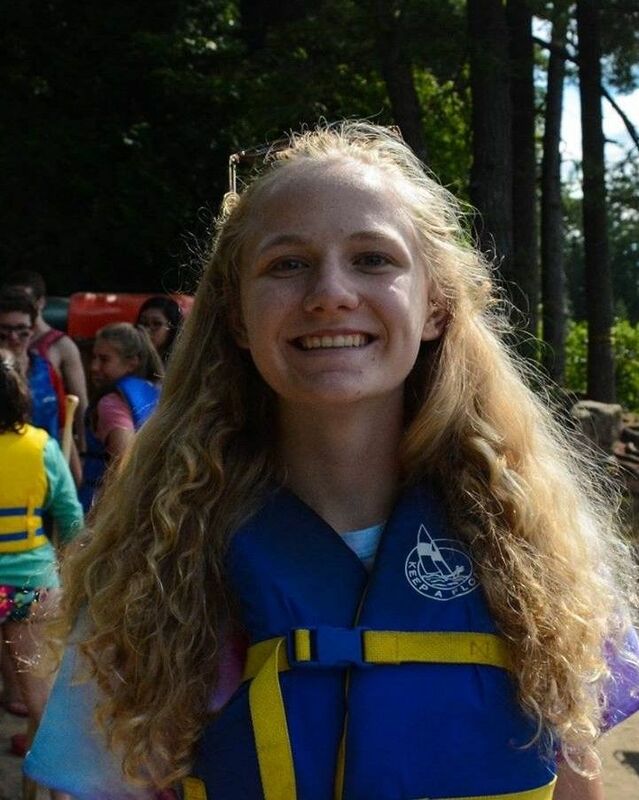 Olivia will be joining us for her 2nd year as a Staff member at Camp and 5th year total at Camp Wenonah. Certified with her Lifesaving instructor, NLS, Standard First Aid and CPR-C. 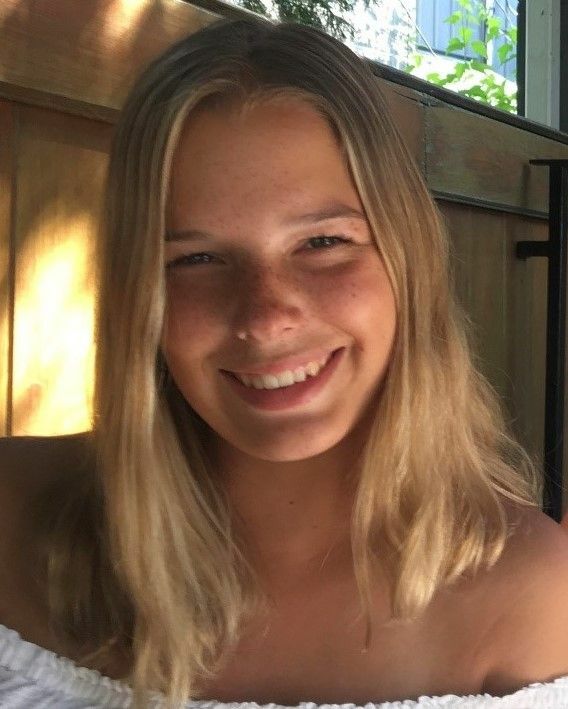 Currently Olivia is enrolled at Lawrence Park Collegiate Institute (graduating class of 2019). 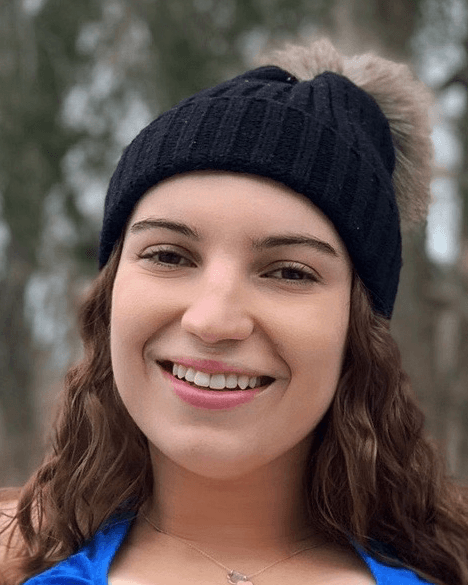 Olivia is employed at North Toronto Aquatic Club as a swim instructor, and volunteered in the aquatics program in 2018 at Holland Bloorview Kids Rehabilitation Centre. She attended circus camp for 5 years, ran with U of T track club for 2 years, and volunteered at Out of the Cold. Olivia’s hobbies include playing hockey and soccer, traveling, and photography. 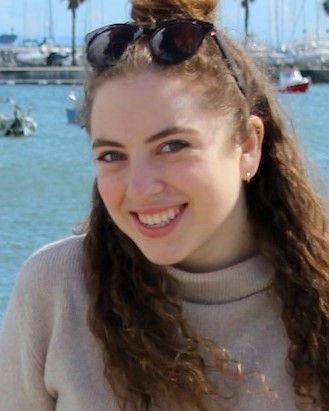 Iria is returning for her 3rd year as a staff member at Wenonah and 5th year total at Camp. 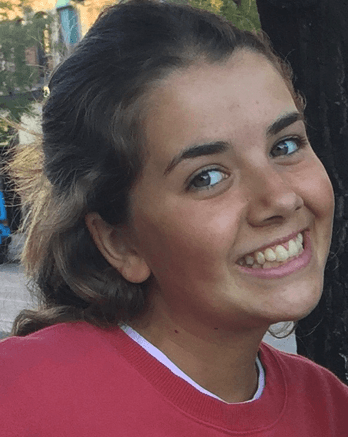 Iria is currently studying at Comillas ICADE working towards a double degree in Law and Business. She has volunteered at a retirement home for many years. 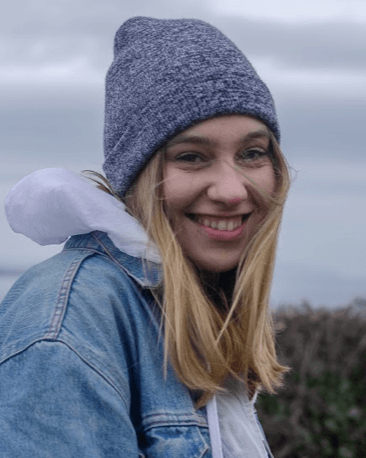 Iria spent most of her summers growing up in Ireland and France learning the language and the culture and next year will be studying abroad in Boston. Iria enjoys swimming, reading, travelling to new places and sailing whenever she can. Alison joins us for her 1st year as a Staff member at Wenonah and 11th year total at Camp. Alison has her Bronze Cross, Standard First Aid, and Mental Health First Aid. She is currently studying Political Sciences at Queen’s University in Kingston. Alison has worked as a waitress at a small restaurant in Edmonton and volunteered at a senior home in Edmonton every month for Games Night. She volunteers every year at an event in Edmonton called ‘Homeless Connect’ that supports the homeless community. Alison received the Bruce Coggles Award of Excellence in Grade 12 and was an honours student all three years of high school. She enjoys hot yoga, running, reading, baking, and spending time with my friends and family. Tess will be joining us for her 2nd year on staff at Wenonah and 5th year total at Camp. Tess is certified with Bronze Cross and Standard First Aid with CPR-C. Tess has also completed her CANsail 2 and ORCKA Level 2. Currently she is enrolled at Riverdale Collegiate Institute and will be entering Grade 12 this upcoming Fall. Some of Tess’ hobbies and interests are travel, playing cards, and design. She participates on the soccer and field hockey teams, and is a part of the band at her school. Alyssa will be joining us for her 2nd year as a Staff member at Wenonah and 4th year total at Camp. 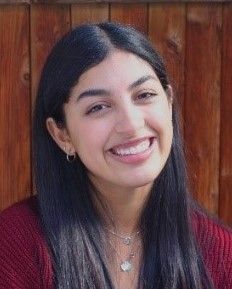 Certified with her Standard First Aid and CPR-C. She is currently a grade 12 student working towards her bilingual certificate at Leaside High School. Alyssa has completed her CANSail 2 and ORCKA level 2. She is involved in many clubs such as Visual Arts, ACT, Women’s Interest and Me to We. 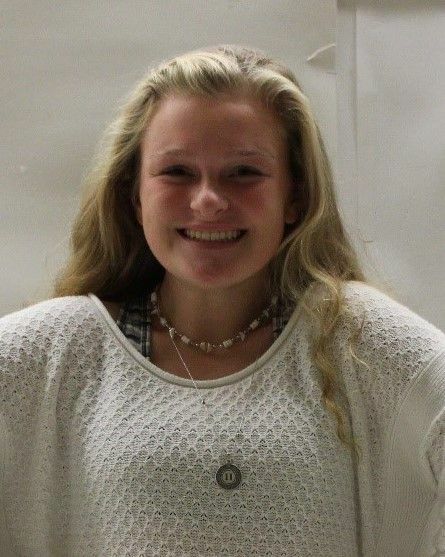 Alyssa is the Assistant Captain for the Varsity Girls Hockey Team and is on the Lacrosse team at her school. She works at East York Hospital being mentored by an Occupational therapist to help children with ADHD and Autism with their writing and speaking skills. She also teaches young girls “learn to play hockey” and tutors’ math and French. Her hobbies and interests are hockey, photography, arts and travelling. Kelly will be joining us for her 2nd year as a staff member at Wenonah and 6th year total at Camp. She is certified with NLS and Standard First Aid with CPR-C, and additional lifesaving training. Kelly has also completed CANsail 2 and ORCKA level 2. Kelly is currently enrolled at Branksome Hall Middle and Senior School and will be going into the 12th grade this upcoming school year. She is working towards her Ontario Secondary School Diploma. 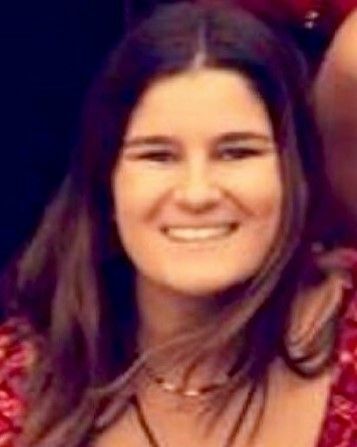 Kelly is a part-time lifeguard at Branksome hall, and volunteers at Rose Avenue School and Sunnyview Junior and Senior school. Her hobbies and interests include, skiing in the winter, spinning, and travelling. Andrew is joining us for his first year at Camp Wenonah. Prior to Wenonah, Andrew worked for 3 years as a staff member at High Peak Camp in Colorado, USA. He was a Wilderness Counsellor, a Backpacking Guide and then the Activities Director. Andrew is certified with First Aid and CPR qualification. Last year, Andrew graduated from the University of Strathclyde where he was studying Chemical Engineering. Since then he has been on a gap year and has been traveling the world as much as possible. 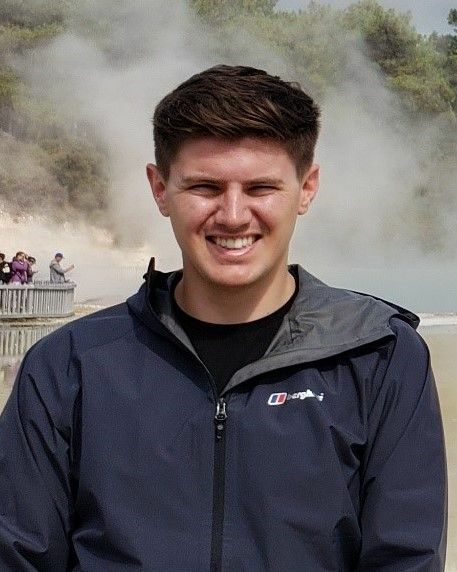 He has been working in the Scottish Events Campus in Glasgow, after camp he is very excited to start a new job as a Project Management Consultant in London. 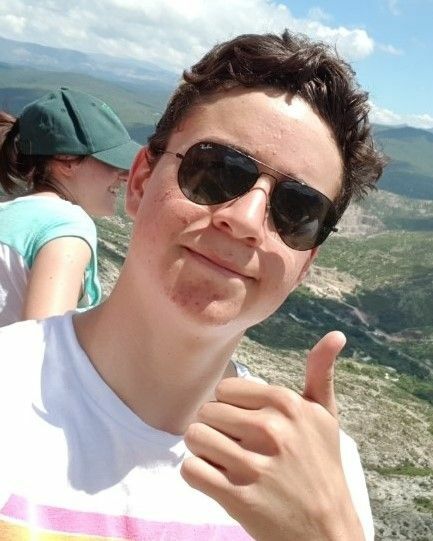 Prior to his studies Andrew managed to join an expedition trip to Vietnam and Laos. 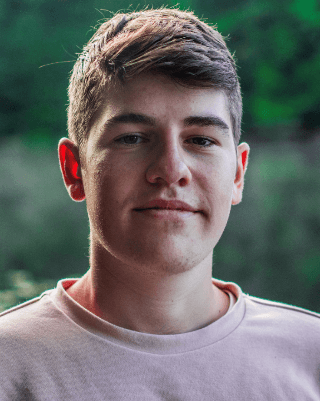 In 2018 he was awarded the Most Dedicated Club Captain in Strathclyde’s Volunteer Awards for his work with the University’s Ultimate Frisbee club. Andrew has also completed the Bronze and Silver levels of the Duke of Edinburgh award. Andrew’s main hobby is Ultimate Frisbee. He also enjoys being in the outdoors, and experiencing new cultures and exploring new landscapes. Abbey returns for her 5th year on staff at Wenonah and her 16th year total at Camp. Abbey is a Registered Nurse and Mental Health First Aid Instructor. Currently she works as an RN at Sickkids in the Multi-organ Transplant Unit and as an Instructor for The Mental Health Commission of Canada. Abbey’s hobbies include hockey, yoga and painting. Barb has 15 years experience as a Camp Staff member. 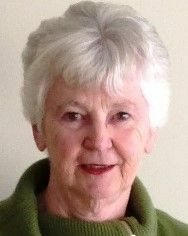 She began working full-time at Wenonah by managing the Camping and Outdoor Bookstore before taking charge of Administration in the Burlington and Muskoka offices. Barb is a graduate of Trent University (B.A. Hons. ), Queen’s University (B.Ed. ), and received her Masters of Library and Information Science from the University of Western Ontario. She has experience working at a variety of Camps and now works as a Children’s Librarian at Kitchener Public Library. Barb has volunteered at the Ontario Camps Association with the Archives Committee, Annual Conference and on Standards visits. Owen is returning for his 4th year as a Staff member at Wenonah, and 11th year total at Camp. Owen is certified with his Bronze Cross and Standard First Aid with CPR-C. He is currently studying Civil Engineering at Mohawk College. He is a member of the Varsity Volleyball team for his school. Owen’s interests include playing the guitar, drinking quality coffee and playing any kind of sport. Tyler is joining us for his 1st year as a Staff member at Camp Wenonah. His certifications include Red Cross Standard First Aid and CPR-C, Bronze Cross, Queen’s University Equity/ Anti-Oppression Training, and Queen’s University Accessibility Training. 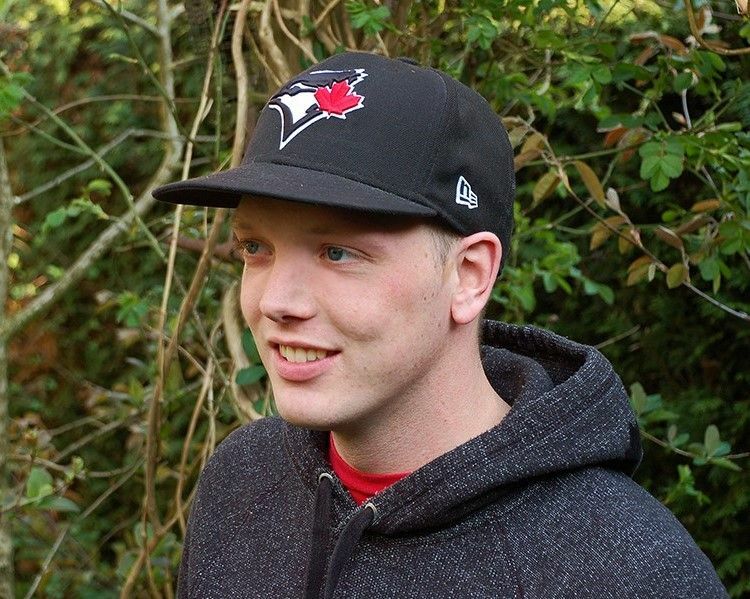 Tyler Graduated from Queen’s University in May 2018 with a Bachelors of Science in Biology. He has worked in Whistler, BC as a Zipline tour guide for the summer and at Walt Disney World in Orlando, FL as a lifeguard at Blizzard Beach! Tyler has spent time studying Biology in Cozumel, Mexico. His interests include hiking, chilling by the lake, HGTV reality series, napping, and world travel. Brad is heading into his 15th year with Camp Wenonah. He holds an extensive background in fine dining. He began his career at Glen Abbey Golf Club as an apprentice and rose to the rank of Sous Chef. 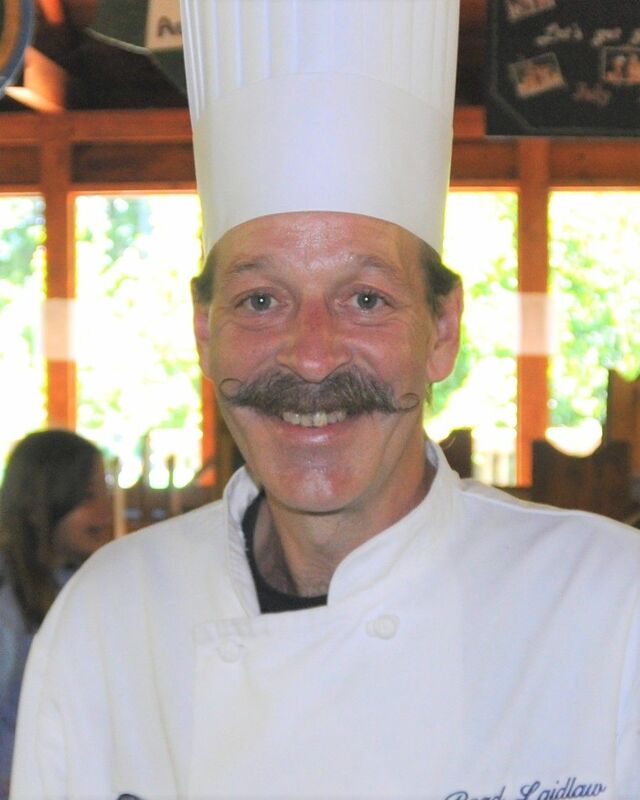 Brad has worked at Chateau Lake Louise (Alberta), Windermere House (Muskoka), Blue Mountain Ski Club (Collingwood) and was most recently the Executive Chef at Georgian Peaks Ski Club. He was the recipient of Ski Canada’s award for the best fine dining in 2000. Anna returns for her 3rd year as a Staff member at Wenonah and 7th summer total at Camp Wenonah. Qualifications include First Aid with CPR-C and boaters license. Currently enrolled at McGill University pursuing a joint honours degree in Political Science and Gender Studies. As a French and German citizen, Anna is studying abroad in Montreal for the full duration of her degree. A member of the school club for UNWomen and works for the University journal, The McGill Tribune. Her hobbies include sailing, scuba diving and surfing. 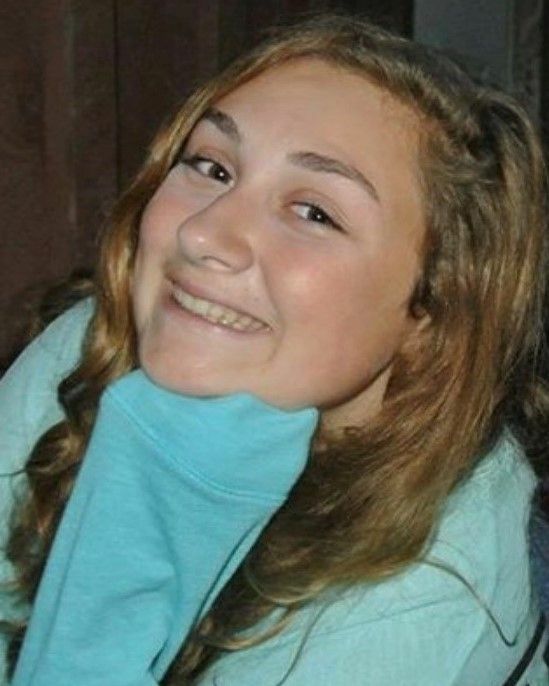 Sarah spent 12 years at Glen Bernard camp, eight as a camper, and four as a staff member. She will be joining us for her 1st summer at Wenonah. Sarah was also involved in international camping through Children’s International Summer Villages. 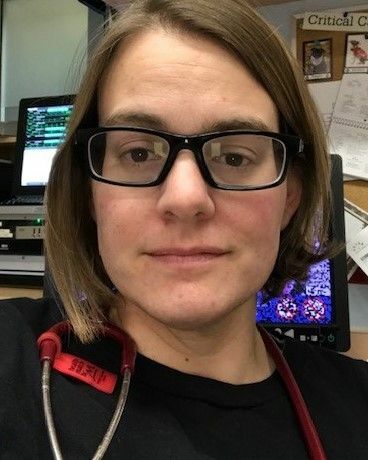 Sarah has been a paediatric nurse at SickKids for 12 years in the Paediatric Intensive Care Unit, Critical Care Response Team, and now on the Acute Care Transport Service. Sarah loves all water activities, especially sailing. She is most looking forward to making new camp memories and new camp friends. Jack will be joining us for his 2nd year on Staff at Wenonah and 10th year total at Camp. Certified with ORCKA 4, NLS, Swim Instructor, Standard First Aid w/ CPR C, Emergency First Aid Instructor, Lifesaving Instructor. Currently, Jack is enrolled at Bishop Allen Academy- he is a member of the Graduating Class of 2019. Jack works as a Swim Instructor, Tutor and is a Leadership Club Member. Awards include the Duke of Edinburgh Gold Award and the DECA Provincial Medalist. Jack enjoys Hockey, Guitar. Maureen returns for her 2nd year on Staff at Wenonah and 6th year total at Camp. Certified with her NLS, ORCKA 3. 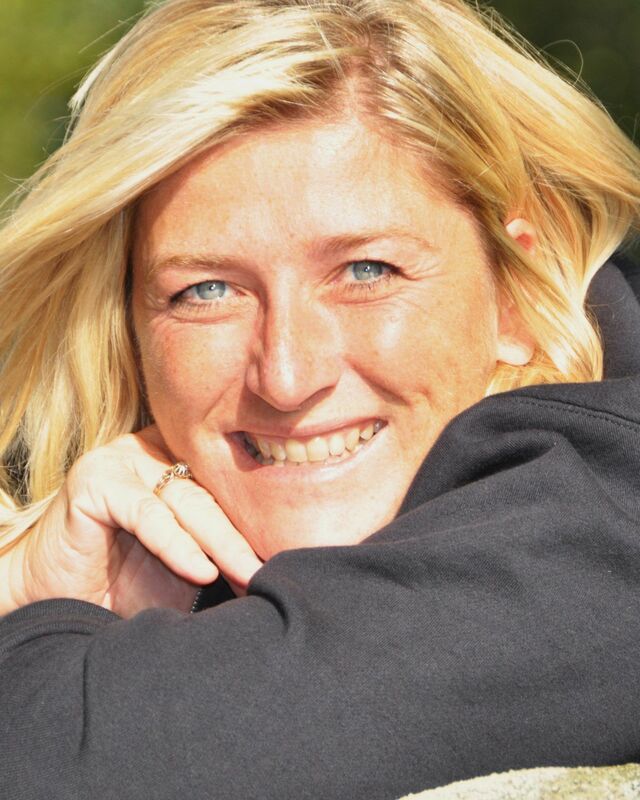 Maureen is also trained to be a Level One Ski Coach/Instructor, and Level One Baseball Coach. 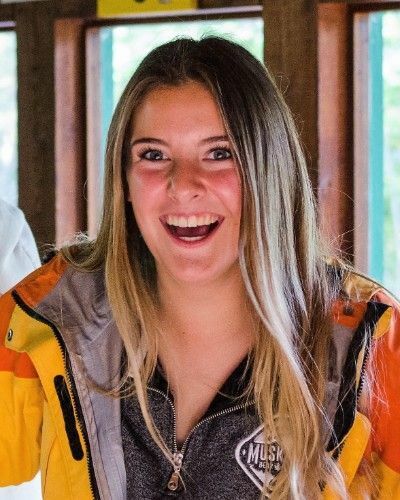 Currently she is at Laurentian University in Sudbury studying Outdoor Adventure Leadership with Concurrent Education, she will be going into her second year this fall. Maureen was also one of the recipients of the Simon Wells First Year Staff award last summer. She enjoys skiing and baseball, and loves to spend time outside. Her favourite outdoor activity is canoeing. Donal returns for his 2nd year as a staff member at Wenonah and his 8th year total at Camp. He is certified with his NLS, Standard First Aid with CPR-C and Swim Instructing. Donal is currently attending Queen’s University for Engineering and Applied Science. He is very passionate about music, loves to listen, and try to learn any instrument he can get his hands on. Donal is a member of his University’s Music Club. Other passions of his include travelling and the outdoors. Jess returns for her 4th year as a Staff member at Wenonah and 10th year total at Camp. She is currently enrolled at Brock University for Concurrent Education. Jess volunteers as a Tutor for kids in St. Catharines and is a member of the Brock ConEd Student Association. Jess loves making music with friends, especially at Camp! Caitlyn is joining us for her 2nd year on staff at Wenonah and 5th year total at Wenonah. Caitlyn is certified with her Bronze Cross, Standard first aid, CPR- C, CANsail 2, ORCKA 3, and the NCCP level 1 Coaching Certification. Currently Caitlyn is enrolled at Assumption Catholic Secondary School. She is on the mock trial team, swim team and badminton team. Caitlyn is also the vice president of the Student Athletic Association at her school. Caitlyn works as a coach at the Burlington Synchronized Swimming Club, last season she was awarded the coach of the year award. Her hobbies include swimming and hiking. 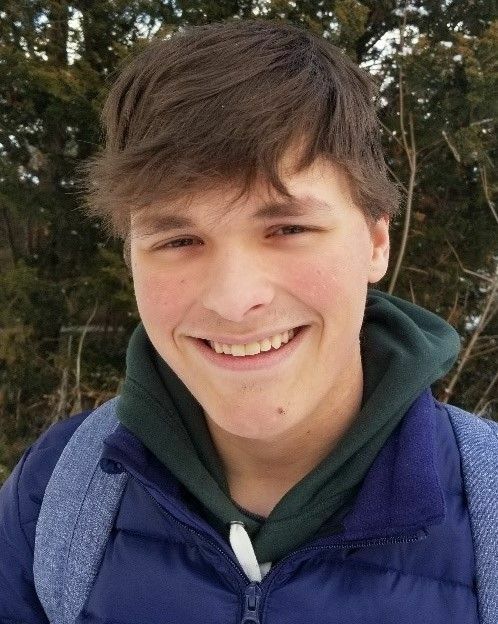 Mitchell will be joining us for his 1st year as a Staff member at Camp Wenonah. After Camp, Mitchell will be studying on exchange in Virginia. Mitchell has extensive experience in many sports back home in New Zealand. As an avid fan of Golf, Mitchell not only plays recreationally, but has worked at a Golf Course in New Zealand for a number of years. He also has experience babysitting and tutoring children from the ages of 3-13. 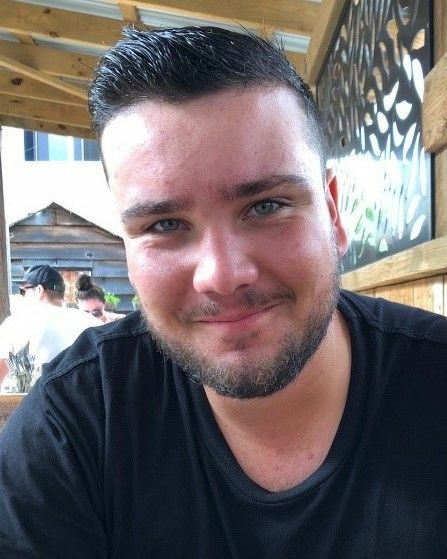 Growing up on the South Island of New Zealand, Mitchell has always loved the outdoors and often enjoys hikes and camping trips with family and friends! Liz has been with Camp Wenonah since 1997 and was Wenonah’s first 10-year staff member. At Wenonah Liz has held a variety of senior, supervisory positions. Liz is a graduate of Queen’s University (BA, Political Studies) and George Brown College (Diploma, ASL-English Interpreter). Liz is a proud mother of two children. 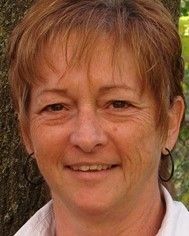 Jane has spent four and a half decades in the Camping industry. She rose from a camper to staff to co-owner of Camp Tawingo. Jane has developed and co-authored ten books on camping and outdoor recreation. 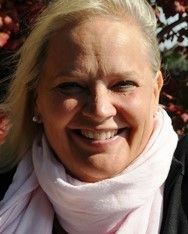 She is a graduate of Western University (B.Sc) and The Ivey School of Business (M.B.A.) Jane has provided her leadership to many camping conferences worldwide and was the Chair of KUMBYAH 1994, the third International Camping Congress. Jane is a recipient of many awards in the camping industry and now lends her expertise as a consultant for a variety for entrepreneurial businesses. Abby returns for her 2nd year as a staff member at Wenonah and 9th year total at Camp. Abby is certified with NLS, lifesaving instructors and swim instructors. She is currently enrolled at Queen’s University studying for a Bachelor of Science. She currently works as a lifeguard and swim instructor. Abby’s interest includes skiing and drawing. 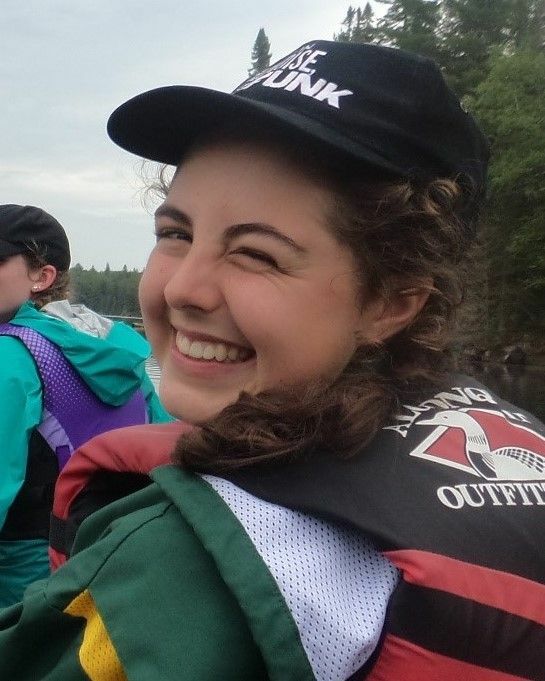 Emma will be returning for her 3rd year as a staff member at Wenonah and 9th year total at Camp. She is certified with her NLS, and Swim and Lifesaving Instructors. Emma is currently at Bishop’s University doing a Double Major in Secondary Education and Social Studies with a Sports Studies Minor. She is involved in BUsnow (ski and snowboard team) and enjoys the outdoors, sports (skiing, soccer, running, volleyball, rock climbing etc. ), photography, and traveling. Tito continues into his 12th year as a Staff member at Wenonah and his 21st year at Camp. He is a Graduate of Wilfrid Laurier University majoring in English. Tito is a past recipient of the Schaefer Scholarship (exemplary leadership at Camp Wenonah). Tito has volunteered as the head trainer of a local Waterloo minor hockey team and was a past prefect at St. Michael’s College School. Tito is a former high school spelling bee champion, avid Toronto Maple Leafs fan, active golfer, enjoys reading 18th century literature, sushi, and living in the woods. Amanda returns for her 6th year as a staff member at Wenonah. 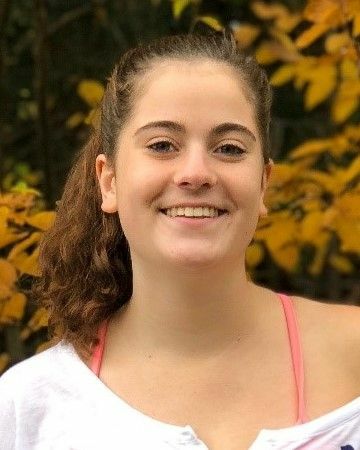 Amanda has volunteered as a Staff member for Camp Oochigeas, and worked 1 year as a program assistant for SHAD (Educational summer program/camp). Amanda has been at Camp Wenonah for 11 years. She is certified with Standard First Aid & CPR-C, and Bronze Cross. Amanda is currently enrolled at Queen’s University studying Biochemical Engineering. She has volunteered at SWAM Kingston and the Peer Support Centre (Queen’s University). She is the Campus and Community Director for Queen’s Project on International Development, and Fundraising Coordinator for Aay’s Village. Amanda did an academic exchange to Singapore. Her interests include, Dance (She is a part of the Queen’s Dance Club), and camping. Bryan returns for his 3rd year as a staff member at Wenonah, and his 11th summer at Camp. Bryan is certified with his NL, Standard First Aid with CPR-C, CANSAIL level 2, and ORCKA level 4. Currently, he is attending OCAD University in Toronto for Graphic Design, and he has worked as a graphic designer for two businesses in his hometown. Bryan was the recipient of an art award from his high school in his graduating year. 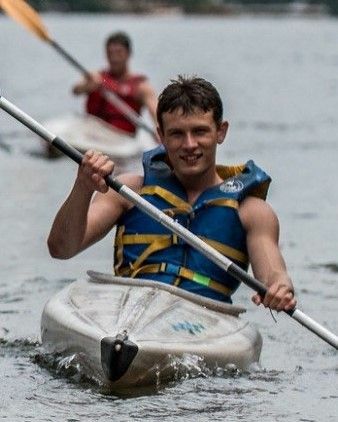 Bryan enjoys all camp activities, especially white-water kayaking, archery, and portaging trips. In his spare time Bryan loves to work out, draw, take photos, and cook. Jason has over 20 years as a camp staff member with Over 25 years previous camp experience. A graduate of the University of Western Ontario (Bachelor of Education) and McMaster University (English, B.A.) Jason teaches at Highland Secondary School (Dundas, ON). He was the former Director of Wenonah Day Camp and holds an extensive camp leadership background as a counsellor, section director, leadership development director, and program coordinator at several Ontario summer camps. Jason has directed day camps for Hamilton Board of Education and acted as a workshop leader for Ontario Camps Association. Jason has two children with his wife Tanya. Luis Fe returns for his 3rd year as a staff member at Wenonah, and 8th year total at Camp. Luis Fe is certified with White water safety and rescue, mental health first aid, Red Cross first aid, ORCKA 4 for canoeing, and CANSail 2. He is currently studying Microbiology at University College of London (UCL) in the UK. He is the chair of a mental health in sports committee at his university, helping to break barriers for those not comfortable with participating in sports due to stigma. He also manages all the mental health and volunteering surrounding the university volleyball club. Luis Fe is an avid kayaker and he recently led his first white water trip in the English countryside. When Luis Fe lived in Venezuela he lived with an Amazonian tribe for a month. He has also climbed Mount Kilimanjaro! Monty returns for his 3rd season as part of the Camp Wenonah staff team. 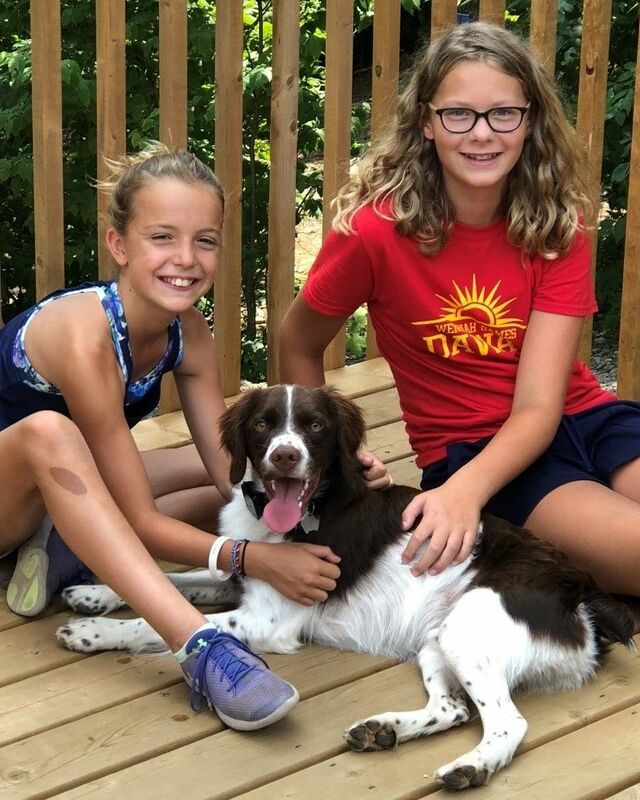 A Brittany Spaniel with a high energy and fun-loving personality, Monty can be found all over Camp enjoying many programs and adventures. Some of his favourites include morning dip, general swim, chasing chipmunks, hanging out at Driftwood and saying hi to Chef. Monty is a proud Aki and looks forward to Driftwood Sprints during Wenonah Games. Carley returns for her 2nd year as a Staff member at Wenonah, and 9th year total at Camp. She is NLS certified, and has also attained her swim instructors, standard first aid and CPR-C, and her ORCKA level four. Carley is currently pursuing a Bachelor of Arts degree at Trinity College, University of Toronto. Carley has spent the last year volunteering at PEACE by peace, an anti-violence conflict resolution curriculum for elementary schools, and also has a history with WE Charities, having worked to build education facilities in Kenya (2018) and Ecuador (2016). She also worked with Save the Children throughout high school. 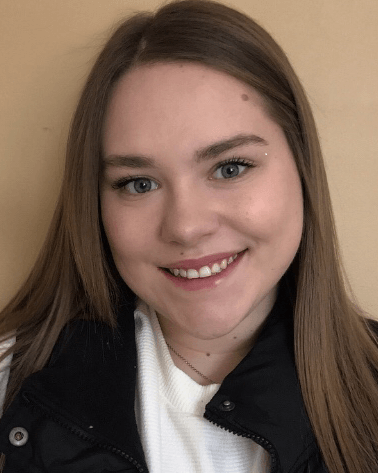 Carley is a past recipient of The Spirit of Wenonah Award, the TD Achieve the Dream Scholarship in 2018, and the Francis and Amy Dupont Exhibition for Excellence in the Arts in 2017. 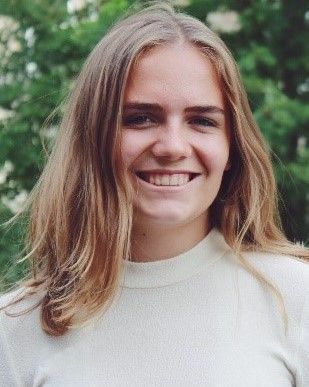 Other achievements of hers include placing 1st in Dramatic Interpretation at the International Independent School Public Speaking Competition in the fall of 2017 and completing her Bronze Duke of Edinburgh award. 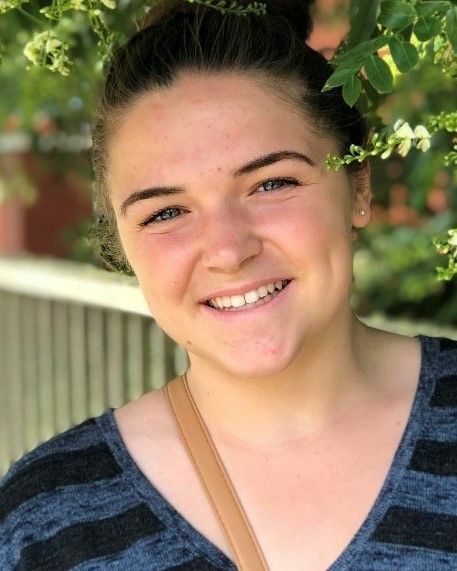 Outside of school, Carley is a lover of all things musical— she is an avid Broadway musical fan, and was a past member of all three of her high school’s choirs and was the bass guitarist for the Senior Band and Jazz Band! Gwen will be joining us for her 12th year as a camp nursing staff member. Gwen has spent 20 years working as a cardiac surgery ICU nurse both at University Health Network and Trillium Health Partners. Currently, she is working at Trillium Health Partners as the regional cardiac surgery coordinator. Gwen is a graduate of Auckland Technical Institute in New Zealand (RN), Massey University in New Zealand (BN), and Ryerson University (Critical Care Certificate), ACLS, BCLS. After her studies Gwen travelled Europe and eventually settled in Canada with her husband. Gwen is proud mother of four adult children and a little Yorkie dog! Josh returns for his 2nd year as a staff member at Wenonah and 12th year total at Camp. Certified with his NLS, Standard First Aid with CPR-C and has earned ORCKA Level 3, CAN Sail 2. 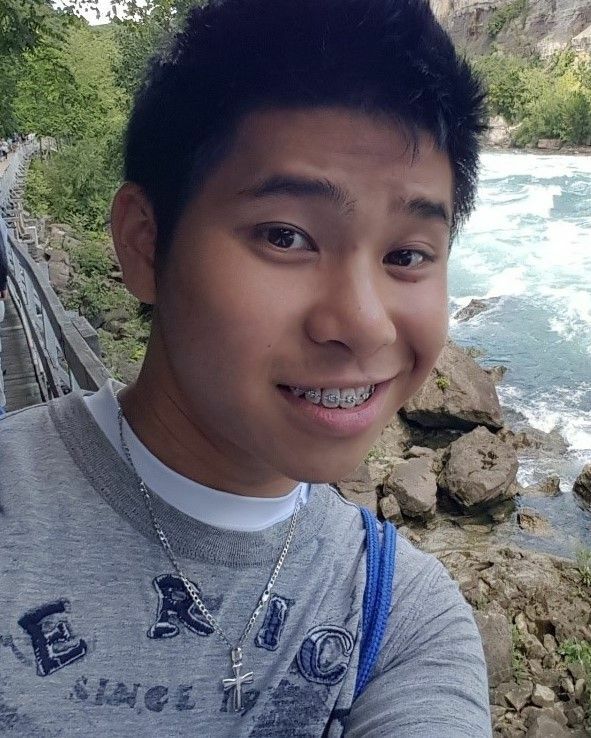 Currently Josh is attending Queen’s University for Computer Science with a specialization in Software Design. Josh is looking towards a career in network security and back-end developing. He is involved in music programs at Queen’s, as well as African-American leadership programs. One of his passions in life is music, both creating and performing music has always been a hobby of his. Josh is always excited to be able to share his passion for music with eager campers! 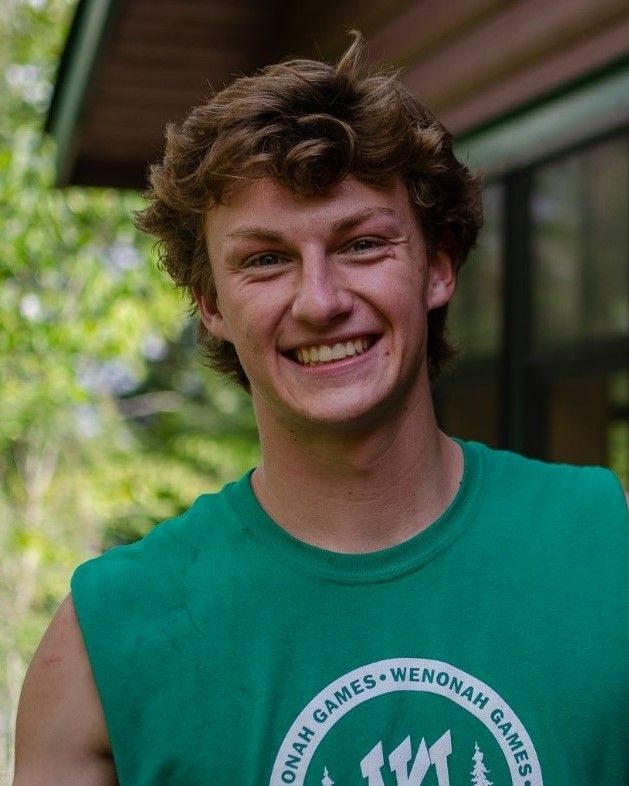 As a camper at Camp Wenonah, Josh received Spirit of Wenonah he was also on the Honour Roll in high school and awarded the Kell Haswell Memorial Award for Sportsmanship. He is looking forward to this upcoming summer and being able to reunite with and meet new campers! Tom is returning for his 3rd year as staff member at Wenonah and 12th year total at Camp. Tom is certified with his Bronze Cross and Standard First Aid with CPR-C. Currently he is studying Commerce at Queens University. Tom volunteers as a QSELF workshops coordinator, QSELF outreach director, and is the QLEAD special events director. 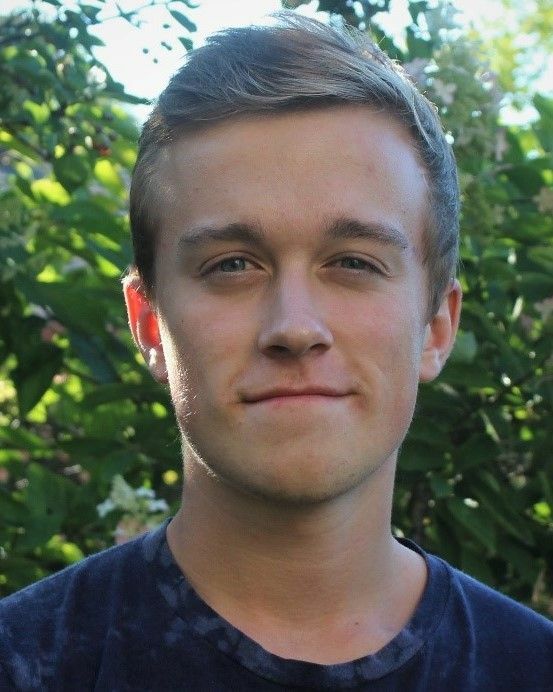 Tom has also participated as a Queens Commerce frosh leader (boss), and as a Generocksity street team member. His hobbies and interests include sports and music. Tomas will be joining us for his 2nd year as a staff member at Wenonah, and 9th year total at Camp. Tomas holds his NLS, Standard First Aid with CPR-C and his ORCKA Level-3. 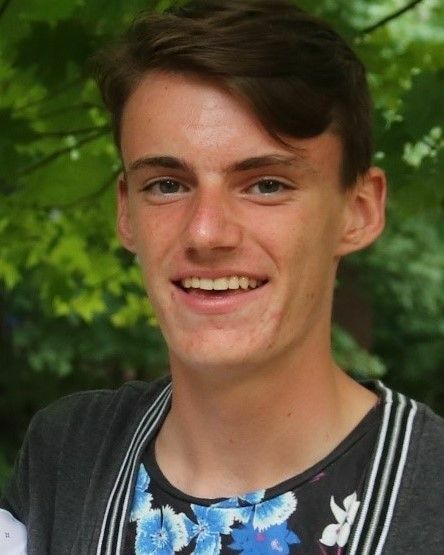 He is currently attending the University of Guelph as an undergraduate in political sciences. 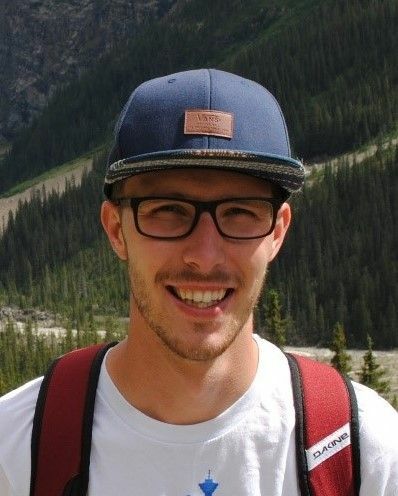 Tomas is Hired as a Residence Life Staff supporting first year students living in residence and transitioning to university for the 2019 fall and 2020 winter semester. He is also in the University of Guelph’s Fencing Club. Tomas’ hobbies include canoeing, fencing, movies and he is very interested in political philosophy. Jacqueline returns for her 2nd year as a staff member at Wenonah and 6th year total at Camp Wenonah. Certified with NLS, Standard First Aid, Swim Instructors, Boating License, and Mental Health First Aid Certification. 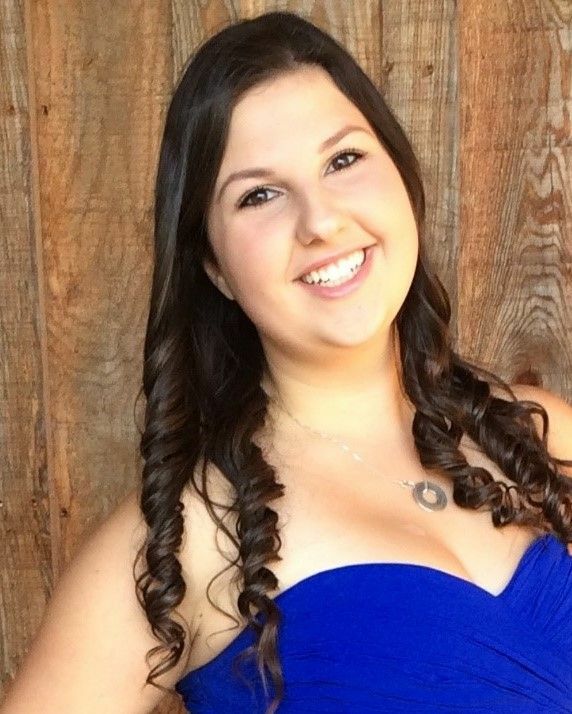 Jacqueline is currently enrolled at Havergal College for high school. She volunteers regularly as a daycare helper at Humewood House, a resource centre for young pregnant and parenting women. She competitively rows for her school Team, and is the Rowing Team Captain. Jacqueline’s hobbies and interests include, camping and riding her bike. Braden joins us for his 2nd year as a Staff member at Wenonah and 8th year total at Camp. 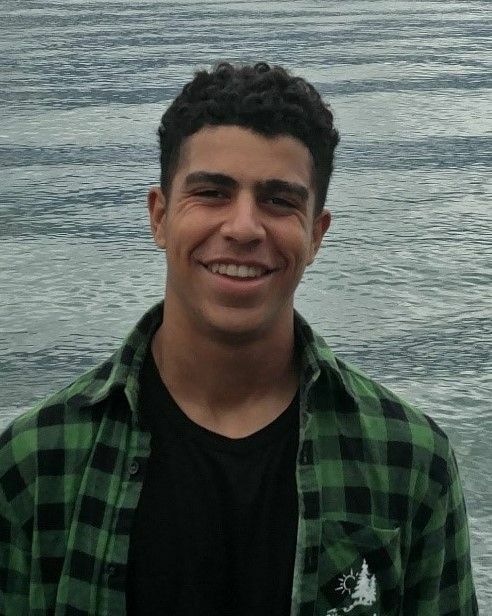 Certified with his National Lifeguard Certification and Standard First Aid with CPR-C. Braden will be graduating from Lorne Park Secondary School in June 2019 and plans on enrolling in a Commerce or Business Administration program at university in the fall. He has worked as a snowboard race coach for young athletes between the ages of six and thirteen. 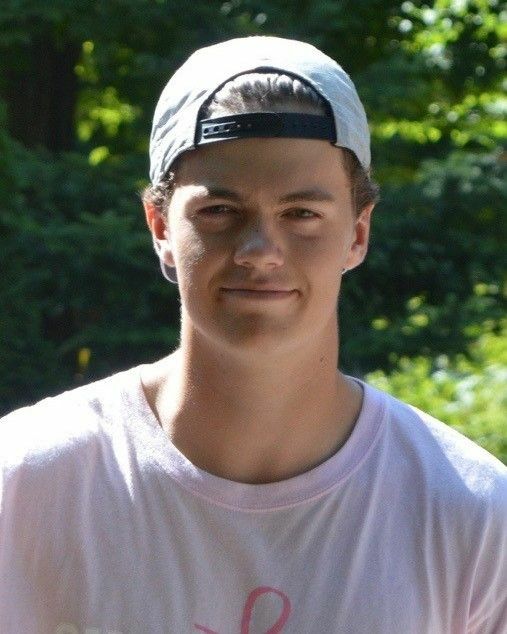 Braden has also volunteered as a peer tutor at his school, and worked as a volunteer Assistant Lacrosse coach with Oakville Lacrosse. 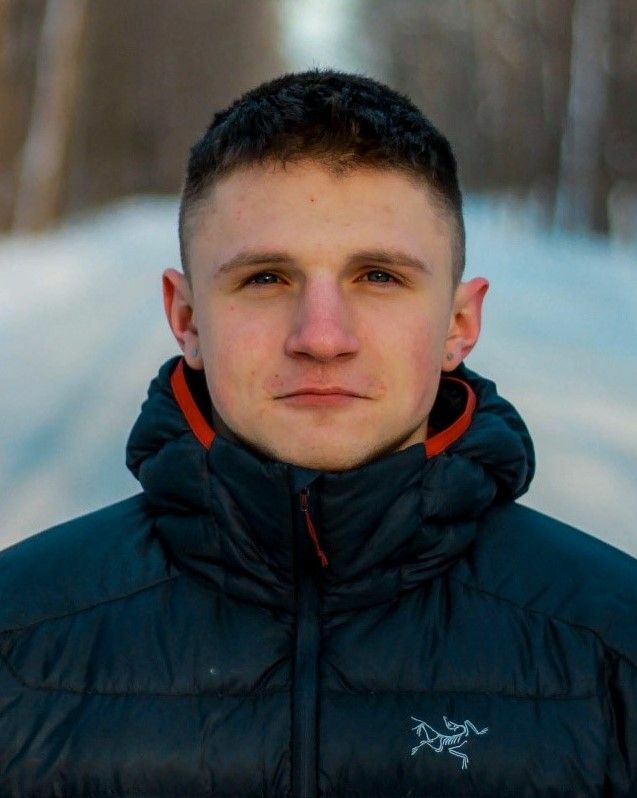 As an avid snowboard racer Braden has won a collection of medals, including a bronze at Ontario Winter Games in 2018, and a pair of golds at the Ontario Provincial Championship in 2017. 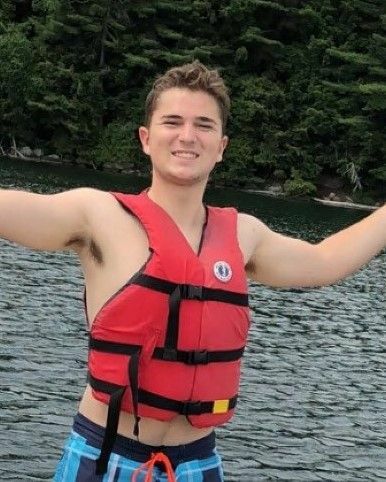 He was also awarded the Camp Wenonah Tripping Award in 2017. His favourite past times are playing the guitar and, of course, snowboarding. 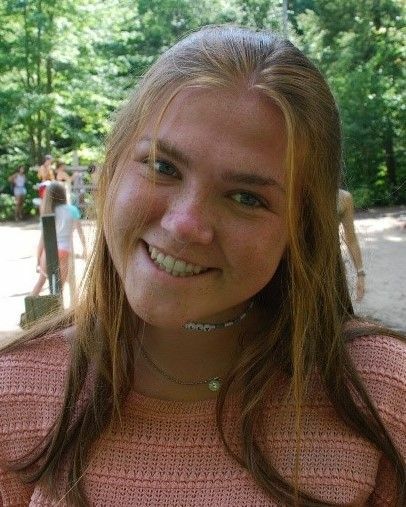 Chloe will be joining us for her 2nd year as a staff member and 10th year at Camp Wenonah. 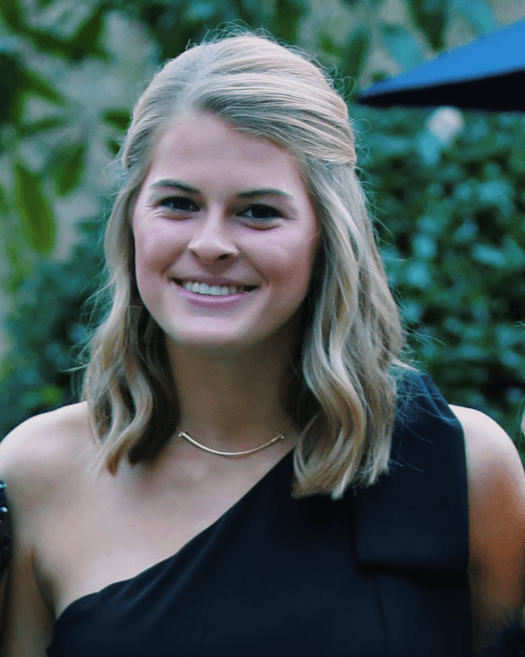 Chloe is graduating from the Lovett School this May, and has not yet decided on where she will be enrolled for university next fall, but plans to study data sciences and follow the pre-medical track. 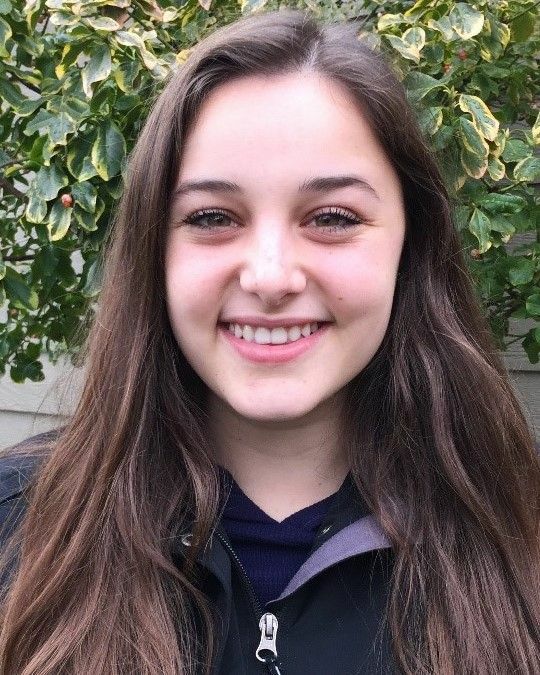 Chloe is currently the parliamentarian of her grade level in the National Charity League and was the team manager for the nationally ranked 2nd place Leukemia and Lymphoma Society Students’ of the Year team, she is also a member of the National Honors Society. 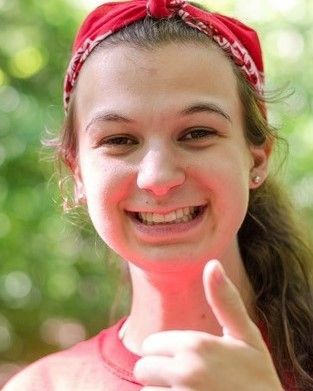 Prior to working at Wenonah, Chloe was a counsellor and Head of Kitchen at Camp Superstar a day camp in Atlanta. She is a Varsity cheerleader and captain of her competitive dance team. She loves to bake (and sells her baked goods) in her free time. At camp, Chloe enjoys teaching white water kayaking and crafts. She cannot wait for this summer! Louise joins our staff team for her 18th year as a nurse at Camp Wenonah. Louise is a registered nurse, she has worked at the Hospital for Sick Children (Toronto) for 30 years. She is in her 19th year in the Paediatric Intensive Care Unit. In her spare time Louise enjoys hiking, running, gardening and reading. Jack returns for his 3rd year as a Staff member at Wenonah and his 12th year total at Camp. 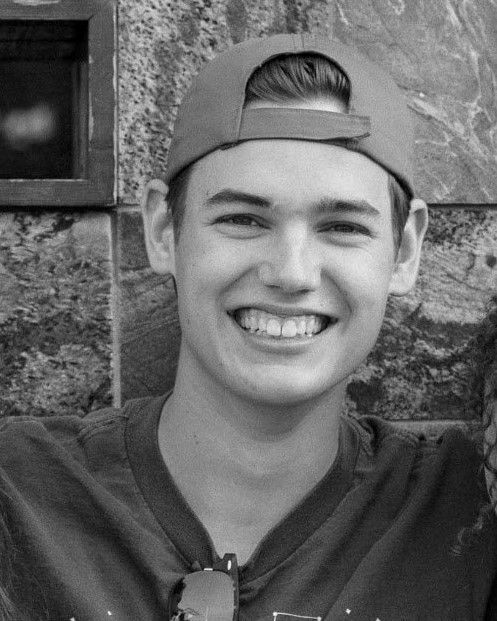 Jack graduated from High School with honours and will be studying Journalism at Carleton University in the fall. Currently, Jack owns an online marketing and media business which he intends to build on after school. For Jack, Camp was a place that enabled learning in a safe environment with opportunities to challenge himself in a variety of situations. Jack spends most of his free time travelling and camping. He also enjoys playing and teaching music. 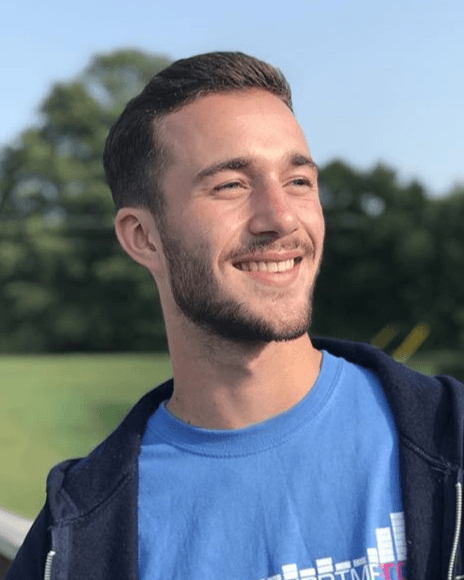 During his time as a Camp Wenonah staff member, Jack hopes to pay forward the amazing camp experience that was given to him as a camper and role model a healthy lifestyle for campers. Shannon will be joining us for her 2nd year as a staff member at Wenonah and 12th year total at Camp. Shannon is certified with her NLS and Standard First Aid with CPR-C and AED Skills. She currently attends Eastview Secondary School and is completing a Specialist High School Major in the Arts. Shannon received the Spirit of Wenonah award in 2016. Shannon loves art, drama, music and sports. She plays hockey, slo-pitch, participates in choir and student government, and volunteers at elementary schools. Marlee returns for her 3rd year on Staff at Wenonah and 8th year total at Camp. Certified with Bronze Cross and Standard First Aid with CPR-C, Marlee is also certified with her ORCKA canoeing level 3 and CanSail level 2. She is currently attending the University of Kings College in Halifax, Nova Scotia doing a double honours degree in Contemporary Studies and Law, Justice and Society. At Kings, she is involved in the Kings Theatrical Society, the Racialized Students Collective and works at the university’s advancement office. She hopes to study abroad in the upcoming future. 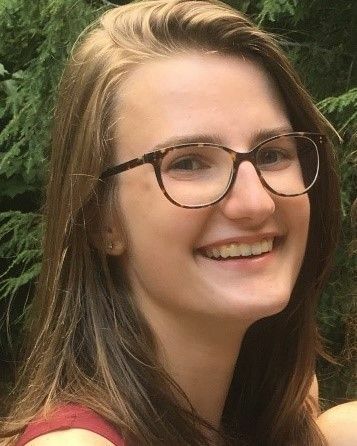 Marlee is the recipient of the Dr. Carrie Best scholarship at the University of Kings College, and has received two silver keys from the Scholastic Arts and Writing International Competition. She was her high school’s valedictorian and one of the 2017 recipients of Camp Wenonah’s Simon Wells Award for first-year staff leadership. Marlee enjoys music and her favourite instruments are the guitar and harmonica. She has always had a passion for theatre and all things creative and of course, has always loved the outdoor activities, specifically canoeing and archery. Marlee is very excited to be spending another summer at Wenonah! Madeline joins us for her 2nd year as a staff at Wenonah and 11th year total at Camp. She has many swimming qualifications including her NLS, Standard First Aid & CPR-C, Swim Instructors, and Lifesaving Instructors. 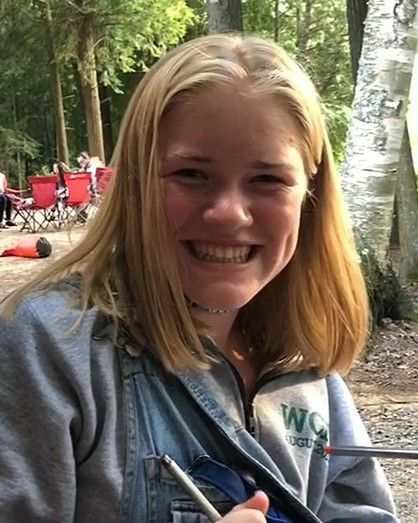 She is currently finishing her high school diploma, and International Baccalaureate Certificate in English, at Robert Bateman High School. Madeline has worked at the Summer Swim Academy for two years as a lifeguard and swim instructor. Madeline is also a youth volunteer at Oakville Trafalgar Memorial Hospital. She enjoys curling, kickboxing, and field hockey. Madeline plays field hockey at school as well as for Halton. She is involved in many clubs at school including best buddies, youth in action, and the Athletic Council. Luke returns for his 2nd year as a Staff member at Wenonah and 11th year total at Camp. Certified with his NLS, as well as Lifesaving, Swim, and Emergency First Aid Instructor. Luke is currently studying in the Computing Program at Queen’s University. He currently works at Queen’s Aquatics as a Lifeguard/Instructor. Luke was a recipient of Camp Wenonah’s Simon Wells Award for First year staff leadership. Andy was involved in camping for 25 years. He began as a camper in Quebec and would then serve as the Director at Onondaga Camp. Andy has degrees in Biology, Geography, Education and a Master’s in Educational Leadership and Management. Currently, he is the Director of the Senior School and Deputy Head of School at St. Michaels University School. Andy is a fellow with the Society of Camp Directors and spent 10 years on the Board of the Ontario Camps Association. He has been a workshop leader at various Camping and Education Conferences. 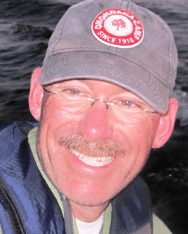 Andy’s interests include wood carving, boating, outdoor adventures and gardening. Catherine was the Owner/Director of Camp Mi-A-Kon-Da for girls from 1979-1998. She currently sits on board of the Kids in Camp Charity and has been the President of the Society of Camp Directors. She has also sat on the Board of the Ontario Camps Association (OCA) and Canadian Camps Association (CCA). Catherine is a decorated member of the Camping community. She is an Honorary Life Member of the OCA, a recipient of the Dorothy Walker Award of Excellence from the OCA and a recipient of the Award of Excellence from the CCA. Catherine is an accomplished author, having wrote a number of books on Camping, including Wenonah’s own Moment’s, Memories, Magic: The Wenonah Story (So Far!). Catherine spends her springs, summers and falls on Lake Wah Wash Kesh near Parry Sound and her winters travelling warmer climates! Euan returns for his 2nd year on staff at Wenonah and 11th year total at Camp. Euan is qualified in Bronze cross and Standard First Aid with CPR-C. He holds ORCKA level 2 and CANsail 2. Currently he is enrolled at Wilfrid Laurier’s Lazaridis Business School. Euan has volunteered with Leaside Hockey Association, UofT Medical School, and Scotiabank walk for cancer. Before camp this year, he will be watching the world hockey championship in Bratislava, Slovakia. Euan was an honour roll student every year during high school. His hobbies include Hockey, Soccer, video games and eating as many different types of foods and cuisines as possible. Mary Anne returns for her 4th year on staff at Wenonah. Certified in Wilderness first aid and holds her ORCKA 4, Standard First Aid and Bronze Cross. She is currently enrolled in Second year of Integrated Science at McMaster. Mary-Anne lived in Quebec City last spring to improve her French! Her hobbies include ballet, Nordic skiing, running, and anything outdoors! Lauren returns for her 7th year on staff at Wenonah and 15th year total at Camp. She is certified with Standard First Aid, Bronze Cross, Mental health First Aid and she is SafeTALK Certified. Lauren is currently attending Wilfrid Laurier for the Bachelor of Education Program (Primary/Junior). Lauren is a Dance Teacher at Performance Dance Academy and on the Educational Society Committee at Wilfrid Laurier. She is the Founder of an after-school dance program for at risk students in Guelph, Ontario. Luren is a previous graduate of the University of Guelph with Honours Bachelor of Applied Science in Child, Youth, and Family. Lauren will be one of the Equity and Diversity Ambassadors this year at camp! Her interests include baking, organizing, spending time in the outdoors and at the lake. Kathleen returns for her 5th year as a Staff member at Wenonah and 11th year total at Camp. Kathleen is certified with her Bronze Cross, Standard First Aid with CPR-C and Mental Health First Aid. She has also completed her CANsail level 2. 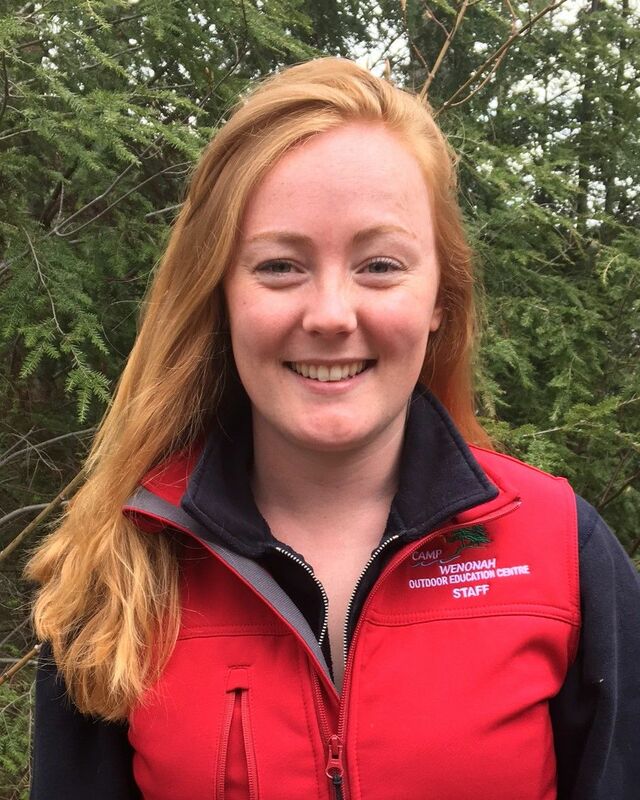 Kathleen is currently completing her third year in Marine and Freshwater Biology at the University of Guelph. She was one of the recipients of the Simon Wells First Year Staff Award in 2016. Brittany returns for her 12th year as a staff member at Wenonah and 20th year total at Camp. Brittany is a Teacher at the Crescent School in Toronto. Brittany’s interests include Travelling, yoga and dancing. She has two dogs named Reggie and Lucy! Madeline returns for her 6th year as a Staff member at Wenonah and 14th year total at Camp. Certified with her Bronze Cross, Standard First Aid with CPR-C, BMST – Behaviour Management Systems Training and Pleasure Craft Operators Licence. 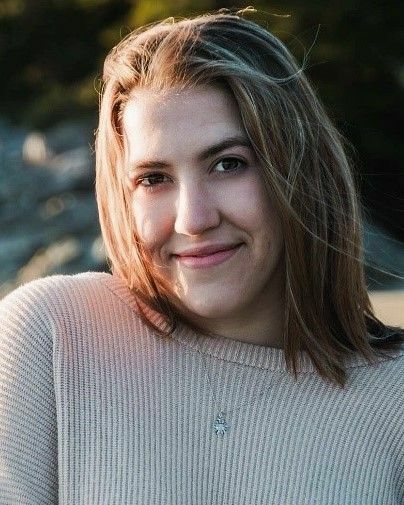 Maddie is currently enrolled at the University of Guelph and graduating in the Spring of 2019 with a Bachelor of Applied Sciences Majoring in Adult Development and minoring in Child, Youth and Family Relationships. She has been accepted to the Bachelors of Education (Primary/Junior) program and hopes to pursue a career in special education; focusing on children on the Autism spectrum. She works part-time at a floral greenhouse during the school year. Maddie has previously worked as a One-to-One support worker with the City of Guelph summer camps for children with disabilities. 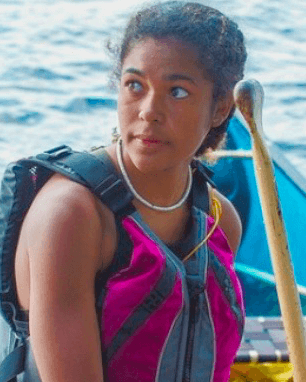 She is backpacking her way through Central America, the only country left for her to visit is Belize! Maddie’s interest are dogs, snowboarding, travelling and camping! Zaphira joins us for her 2nd year as a Staff member at Wenonah and 6th year total at Camp. Zaphira has earned her CanSail1 and ORCKA 3. She is currently at School at Father John Redmond C.S.S. Zaphira spent time living in St. Lucia during her summers and would swim with their swim team. She coaches boys and girls elementary school soccer. Zaphira was her Grade 8 Valedictorian in the graduating class of 2014. Her hobbies include listening to Country Music, swimming, collecting hoodies and is a lover of animals. “Stewy” has held a variety of senior positions at Camp Wenonah and now coordinates camping programs at Ryerson University. He is a graduate of Trent University (Bachelor of Arts) and the University of Toronto (Bachelor of Education). Stewy is an accomplished educator and program facilitator. He has presented on Camp programs, leadership and team building at various conferences across Canada. 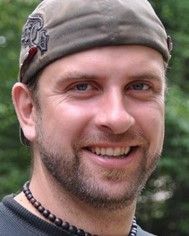 Stewy has been the recipient of various awards from the International Camping Fellowship, the Canadian Camping Association and has received the highest award for youth leadership from the Ontario Camps Association. 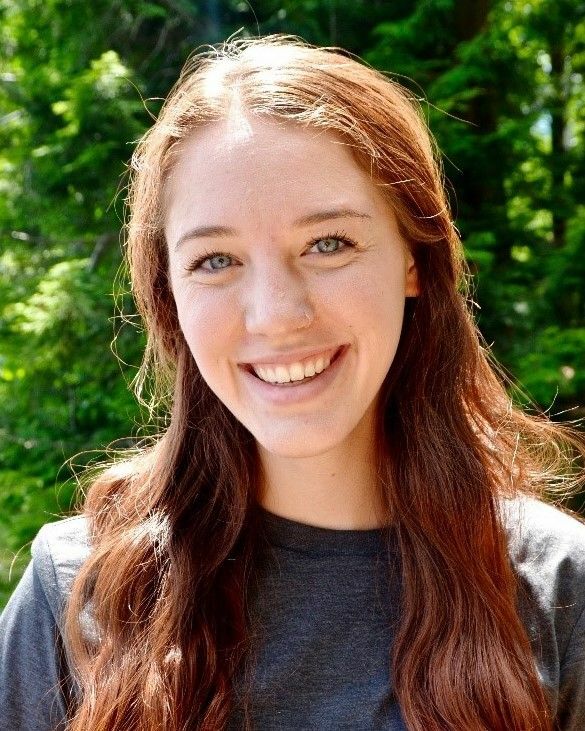 Caitlin returns for her 5th year as a Staff member at Camp Wenonah. Caitlin is certified with First Aid and CPR, and is obtaining her swimming qualifications in time for the summer! Caitlin has studied at Australis College and obtained a Bachelor of Social Work and obtained a Certificate lll in Legal Studies. She has volunteered for LifeLine. Caitlin was born in Saudi Arabia! Her hobbies include painting and surfing and she loves going to concerts. Emma returns for her 4th year on staff at Wenonah and 9th year total at Camp. Certified with her NLS, Swim Instructors, Lifesaving Instructors and Lifesaving Examiners. She is currently enrolled at Queen’s University for English and Film. Emma has worked as a lifeguard and swim instructor at the Queen’s pool. She backpacked Australia last year and will be heading to Europe for a month before returning to camp this Spring. Emma enjoys stage managing, travelling, pita pizzas, laughing at her own jokes and of course, swimming at the beach and the docks. Nancy returns for her 12th year at Camp Wenonah as a staff member. Nancy works at the Hospital for Sick Children (Toronto) as a Nurse Practitioner in Emergency and holds a position in Cardiac Critical Care. Nancy also practices at a Clinic led by Nurse Practitioners in Rosseau. She is a graduate of University of Toronto (RN, BScN, CNCC). Nancy also contributes her leadership and support for the Health Care Team of the Ontario Camps Association. As an avid traveller Nancy has extensive travelling experience, she completed a Canoe trip to the Arctic Circle and visited Bhutan, among many other countries worldwide! 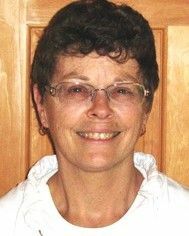 Nancy enjoys canoeing, kayaking, dogsledding, winter camping, tennis, and a good book. Haico returns to Wenonah for his 2nd year as a staff member. He joined the scout movement when we was 8 years old and has continued as a a scout leader for the last 10 years at his local Scouting group in the Netherlands. In the past Haico has studied to be a teacher and worked at Camp Wenonah and Camp Manitou as part of his English studies. He has worked as a stage builder at festivals, as an intern at a school and most recently as a farmhand. He enjoys travelling, history and learning about other cultures. Haico also enjoys the outdoors, being on the water and in his down-time reads and draws. Christian will be joining us for his 2nd year as a Staff at Wenonah and 7th year total at Camp. Qualifications include Standard First Aid & CPR-C and NLS. Christian is currently enrolled at Riverdale Collegiate Institute. He works as a Hockey/Ball Hockey referee and Rink Supervisor. Christian participates on his school’s hockey and volleyball teams. He is the President of his school’s Athletic Council. He volunteers at a Multi-sport city summer camp. Christian has been awarded the Junior volleyball team MVP, elementary school athlete of the year and was the Waterloo math contest winner in middle school. Hobbies include Sports, being active, math, hanging with friends and travel. Joanna returns for her 9th year as a camp nursing staff member. Joanna has over 30 years nursing experience at Hospital for Sick Children (Toronto). Joanna is a graduate of McMaster University (BScN). She enjoys movies, skiing, art & architecture, reading, and sudoku. 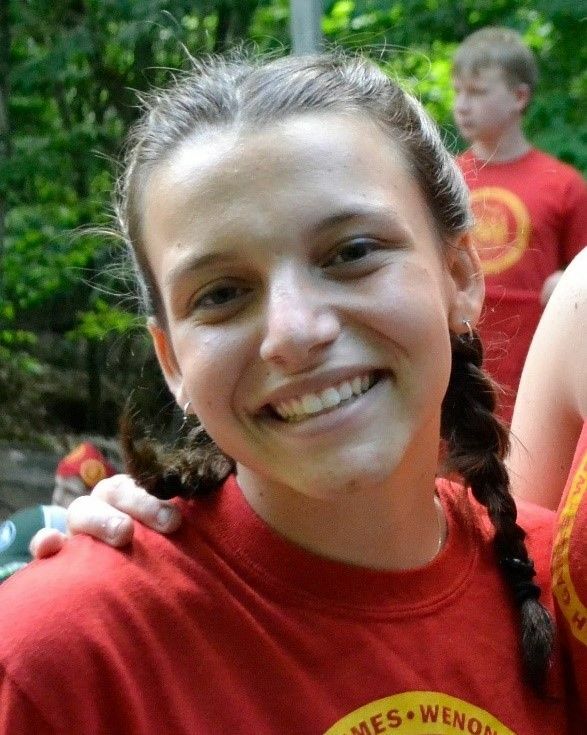 Daria joins us for her 2nd year as a staff member at Wenonah and 8th year total at Camp Wenonah. Certified with her NLS and Standard First Aid with CPR-C. Currently completing her high school diploma at Northern Secondary School. Daria works part time at Mastermind Toys as well as regularly babysitting. Daria is involved with the Varsity Girls Rugby Team and the Buddies program which helps mentor younger students. 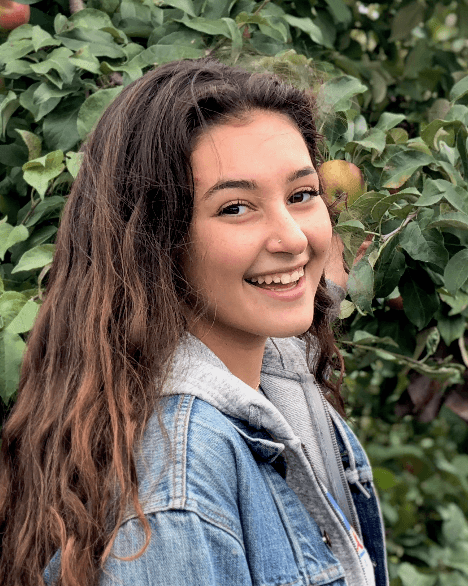 She received the Grade 11 Leadership Award at her school for demonstrating outstanding leadership skills both inside and outside the classroom. Her hobbies include white water kayaking, board games and socializing. Simon has worked at Camp Wenonah for over 15 years. He is a past Director of the Outdoor Education Center and now works as a teacher with the Halton Board of Education. He is a graduate of the University of Dalhousie (BA, Psychology) and the University of New Brunswick (B.Ed). 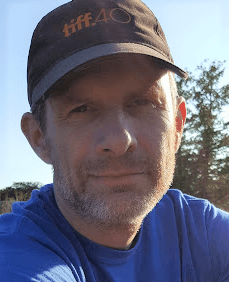 Simon is a popular workshop leader and has been a featured facilitator at numerous camping and recreation conferences. Meg joins us for her 1st year as a Staff member at Camp Wenonah. Meg has received her Bachelor’s Degree in Physical and Health Education. Previously Meg has worked as a Swim instructor and coached a variety of sports to children. Meg enjoys the outdoors and throughout her life has gone on many camping trips with family, friends and school groups growing up. Meg is an avid traveller and has visited many countries all over the world. 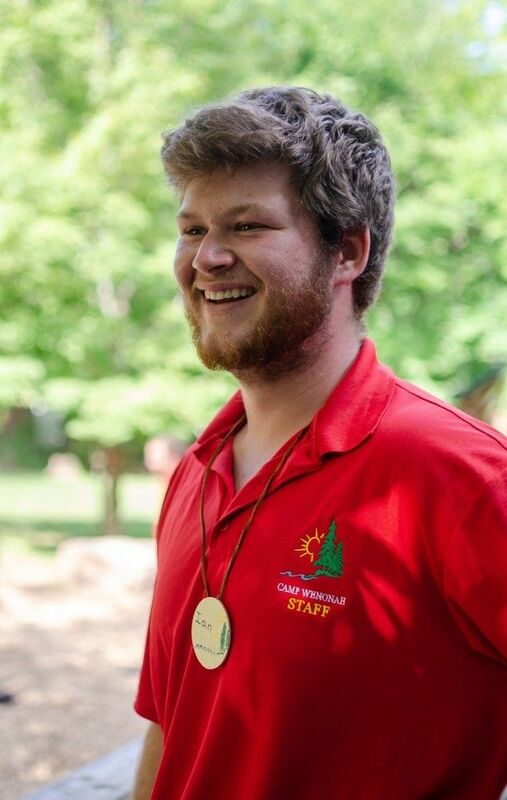 Samuel joins us for his 2nd year as a staff member and 11th year total at Camp Wenonah. He is currently finishing his diploma at Richview Collegiate Institute (Toronto, ON). Samuel has numerous swimming qualifications including NLS, Swim Instructors, and Lifesaving Instructors. He has past work experience as a Baseball Umpire, a Lifeguard/Swim Instructor, and a Chef at Cora’s Restaurant. Samuel enjoys basketball, baseball, and football. His High School team won the Toronto Football City Championships 3 years in a row, including 2 OFSAA (Ontario Federation of School Athletic Associations) championships. Ian returns for his 7th year as a staff member at Wenonah and 11th year total at Camp. Certified with his Bronze Cross, Standard First Aid with CPR-C and Camp Canoeing Instructors. Ian is a graduate of The University of Western Ontario with an Honors Specialization in Criminology and a Minor in Geography. Ian completed the International Camp Director’s Course run by the International Camping Fellowship in the Winter of 2018. He is a recipient of the Schaefer Scholarship (for demonstrating exemplary leadership at Camp Wenonah). He is an avid fan of the Toronto Maple Leafs and enjoys golfing. Hannah returns for her 5th year as a staff member at Wenonah and 11th year total at Camp. She is certified with NLS, Standard First Aid with CPR-C, ORCKA level 3, CANsail 2, and CCAC ethics trained. Hannah is currently in 4th year at Queen’s University in a Biology Psychology Specialization. Hannah Spent 6 months studying abroad in Australia, and has worked in outdoor education at various day camps. Hannah volunteers at the Humane Society as well as other animal related organizations in Kingston. She also volunteers through Queen’s for Canadian Blood Services and in a lab studying ecotoxicology in the environment. Her hobbies include anything music related or drama related as well as working with animals, running and scuba diving! Hannah also enjoys a good camping trip in Algonquin Park and spending time outdoors. 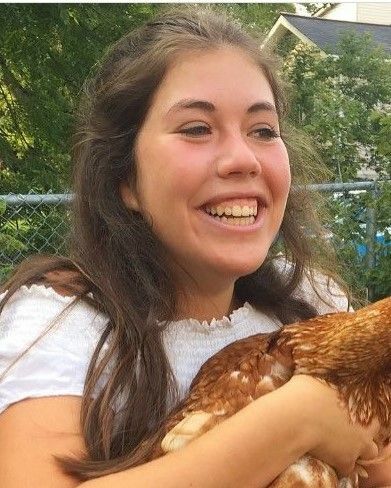 Hannah’s favorite animal is the chicken!